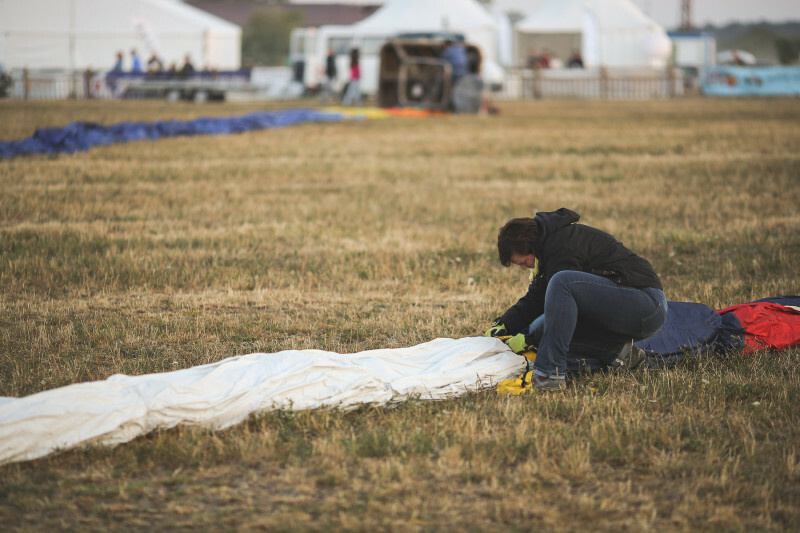 Here we are, it’s the end of #LMAB15. 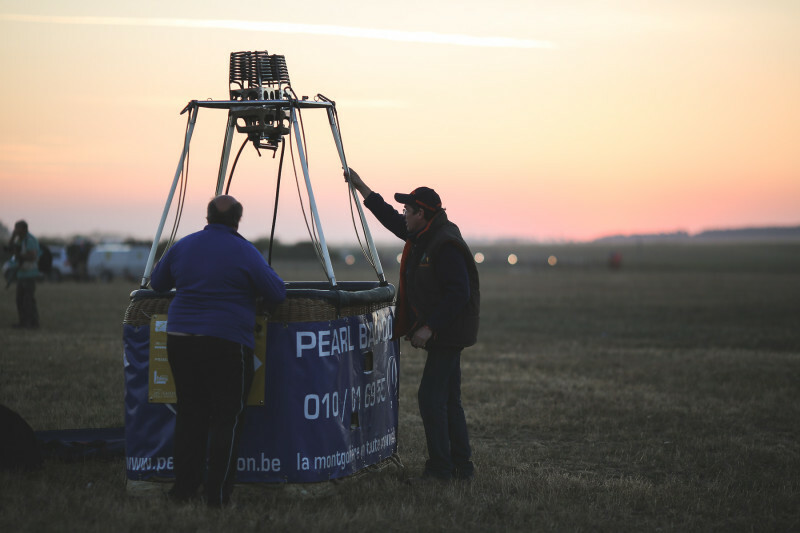 An emotionally final day for the last two flights of the year 2015! 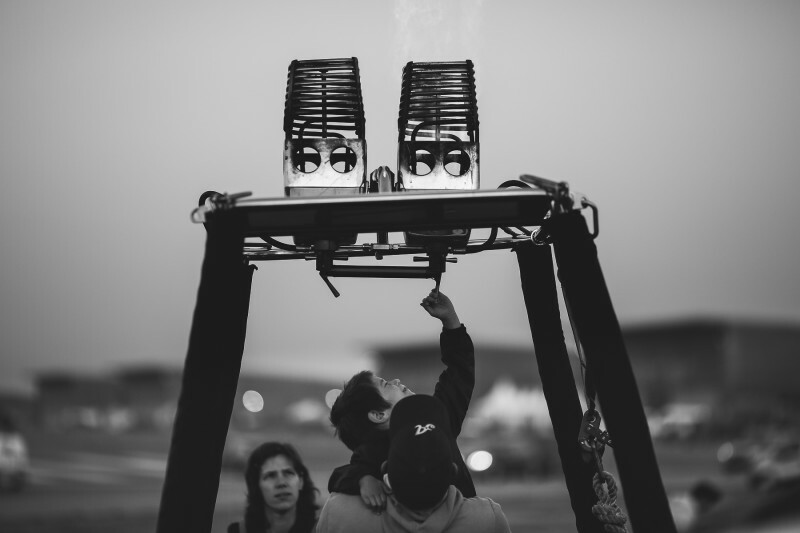 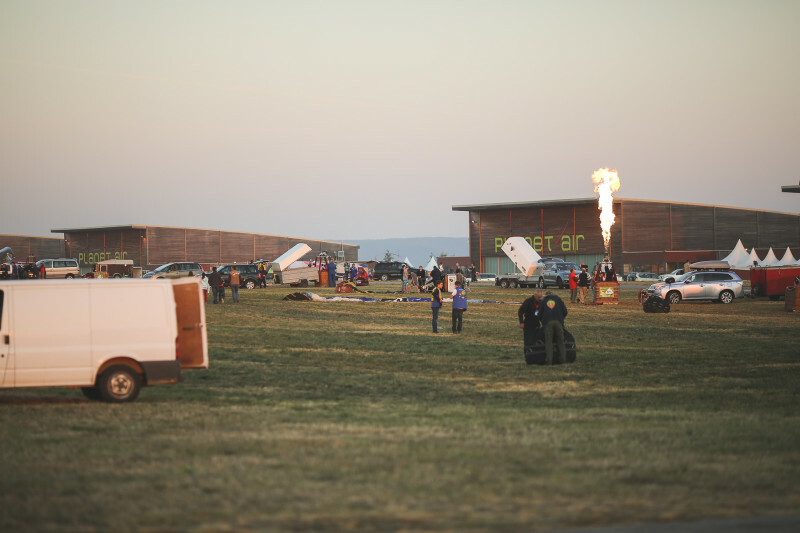 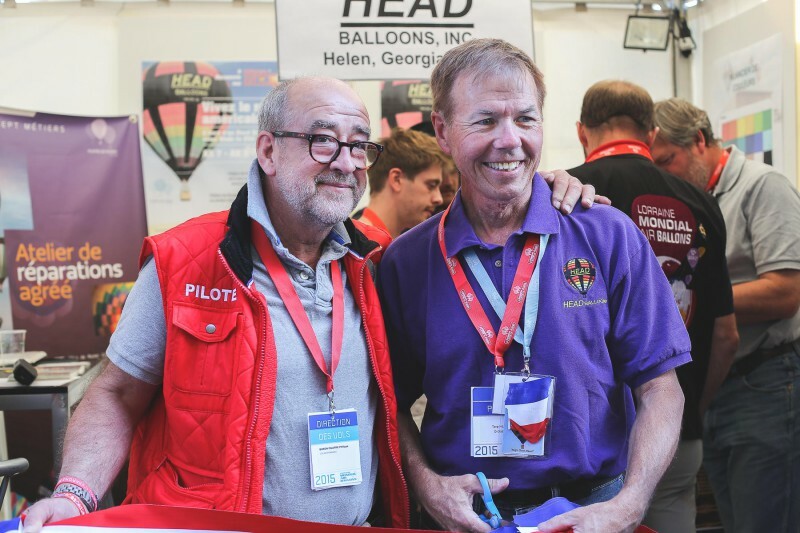 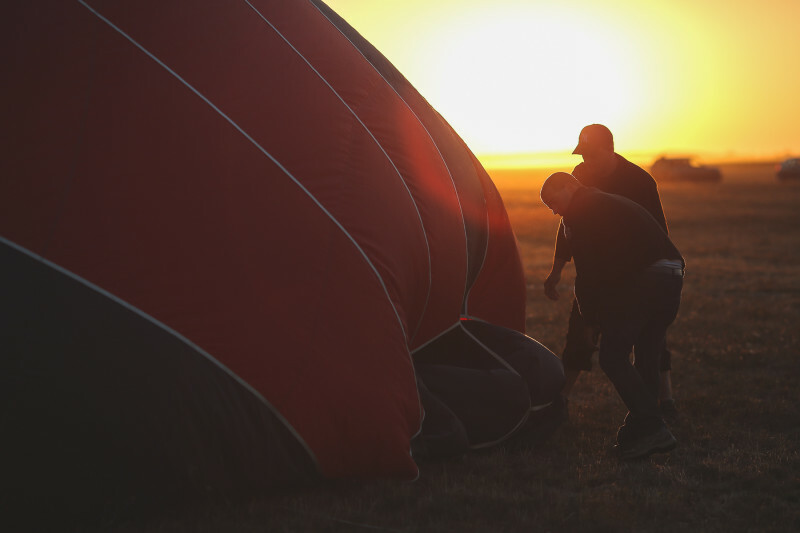 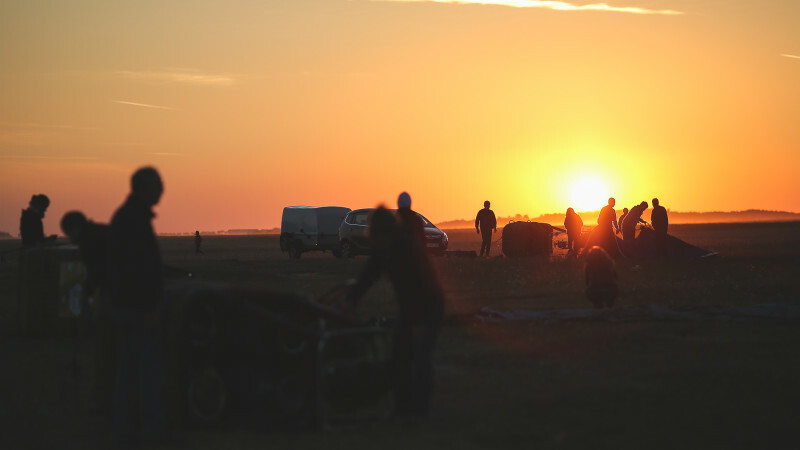 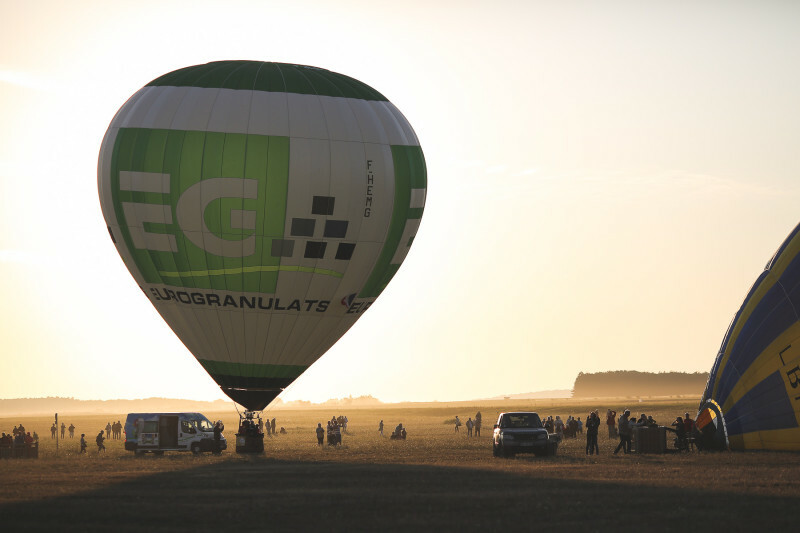 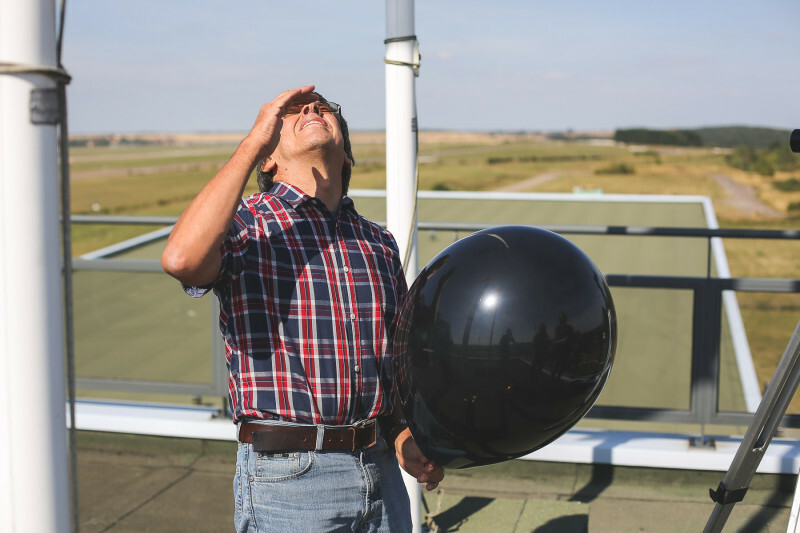 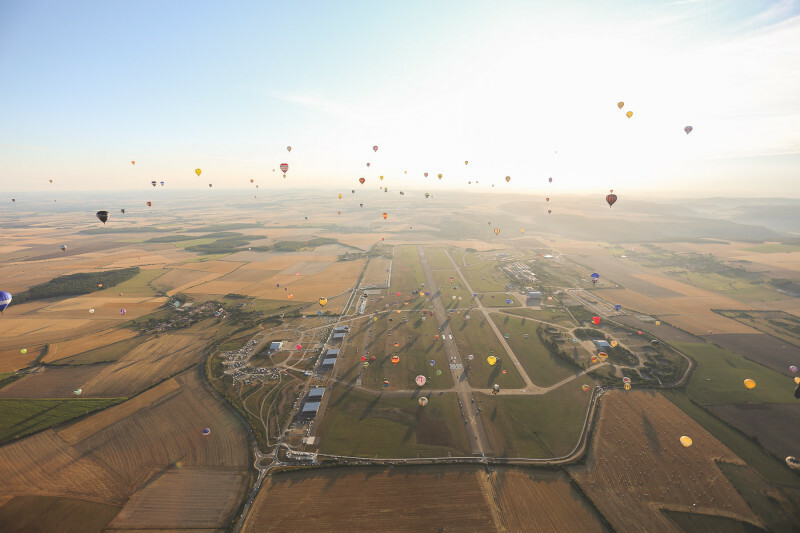 Despite the end of the event, many pilots and crews were present: about 250 balloons in the morning and 150 at evening. 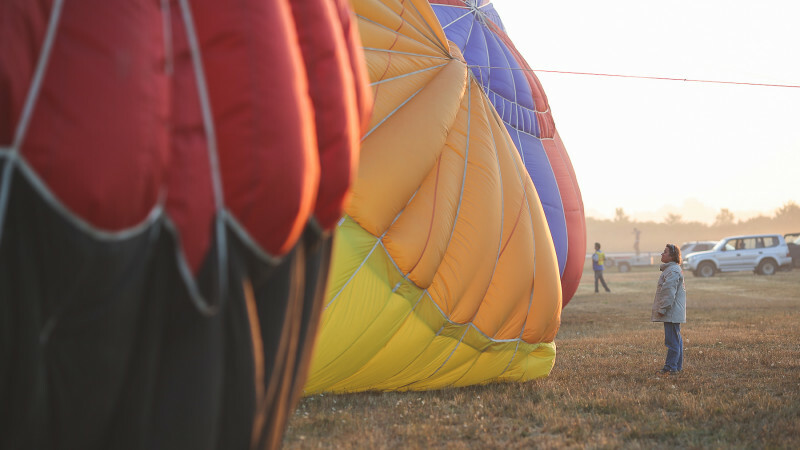 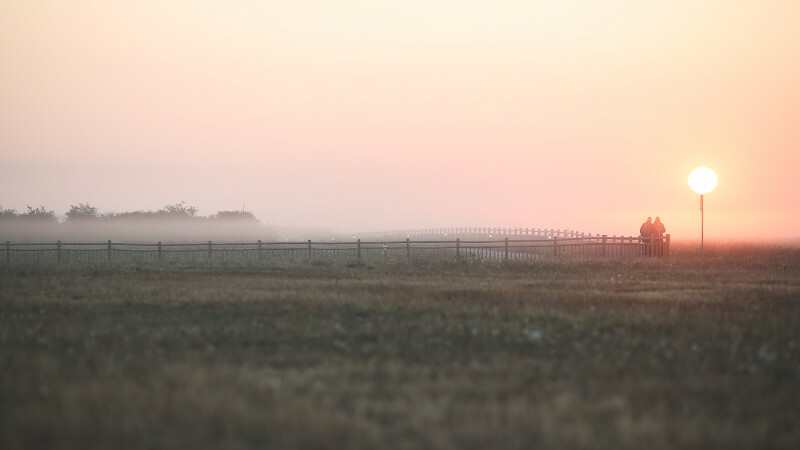 The atmosphere is still as captivating early in the day, the sun illuminates the runway and the morning mist fondles envelopes balloons. 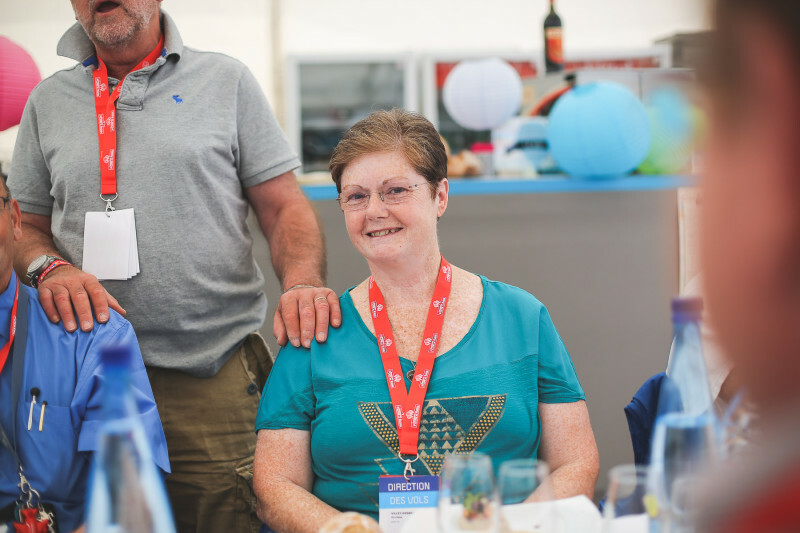 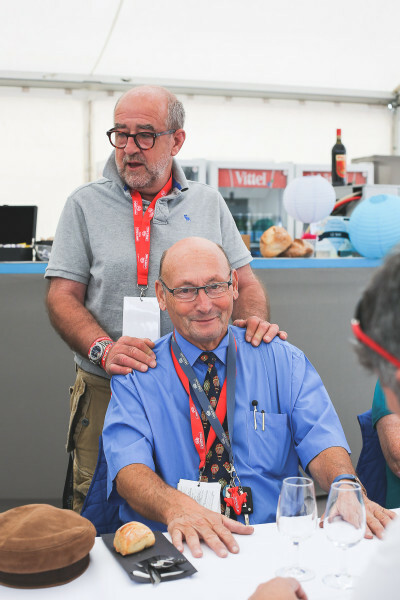 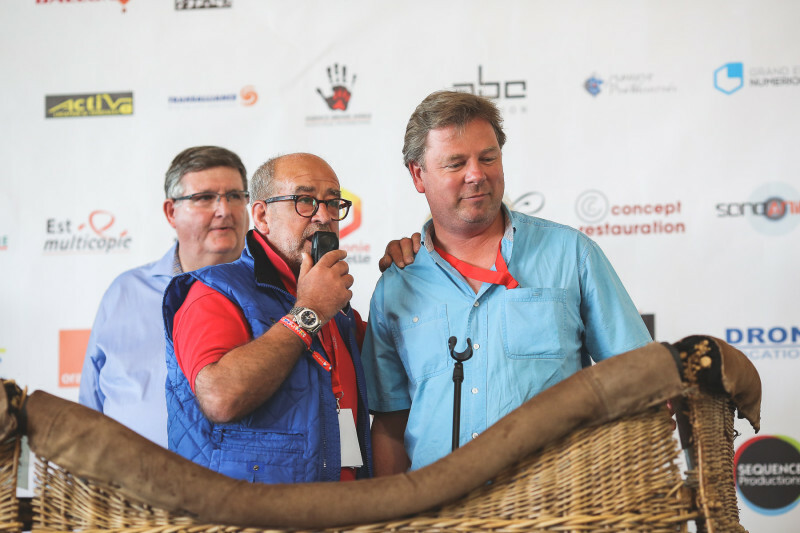 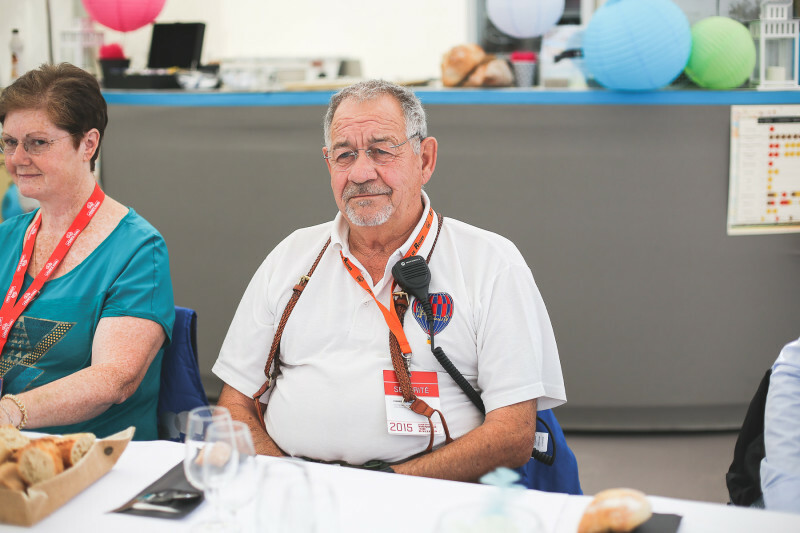 The surprise guest of that day was Claude Léonard, President of the Meuse department. 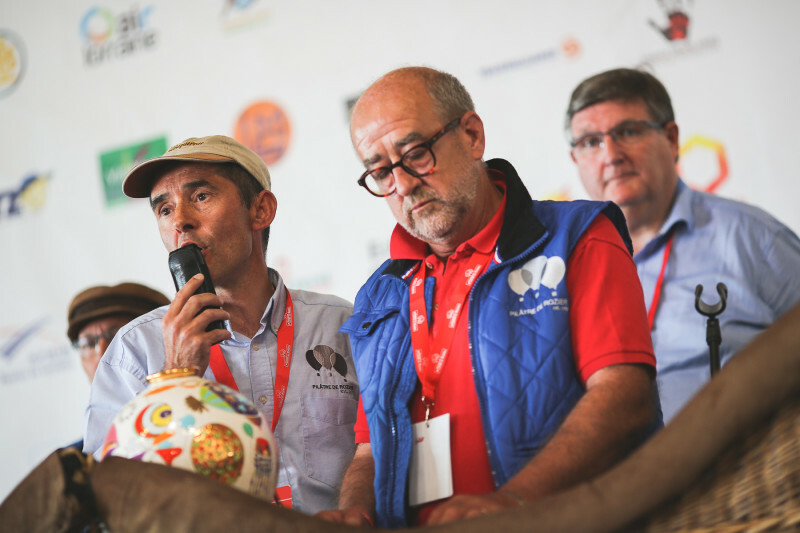 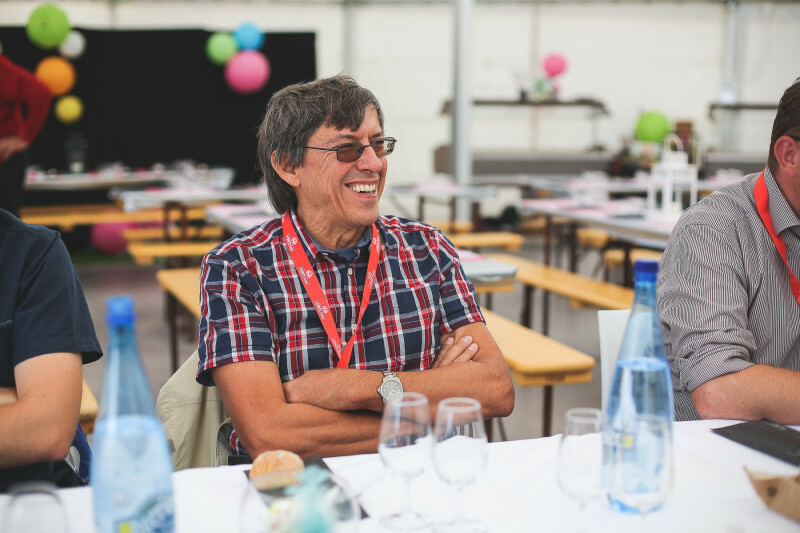 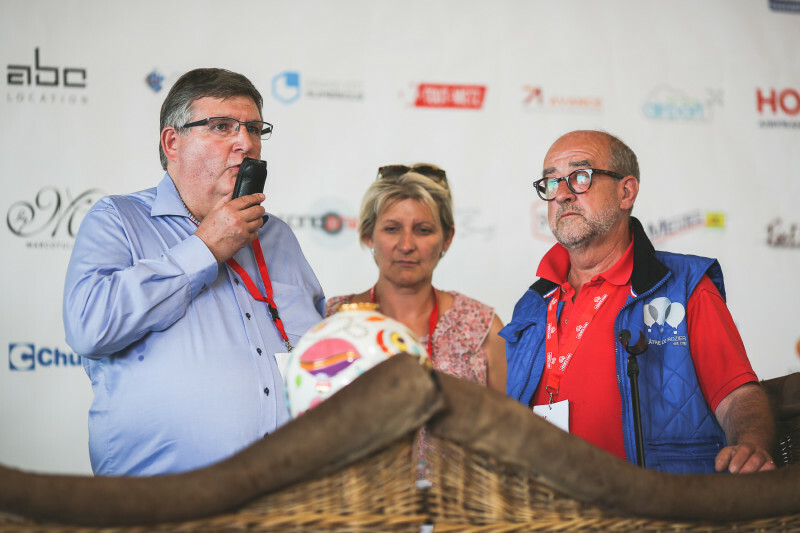 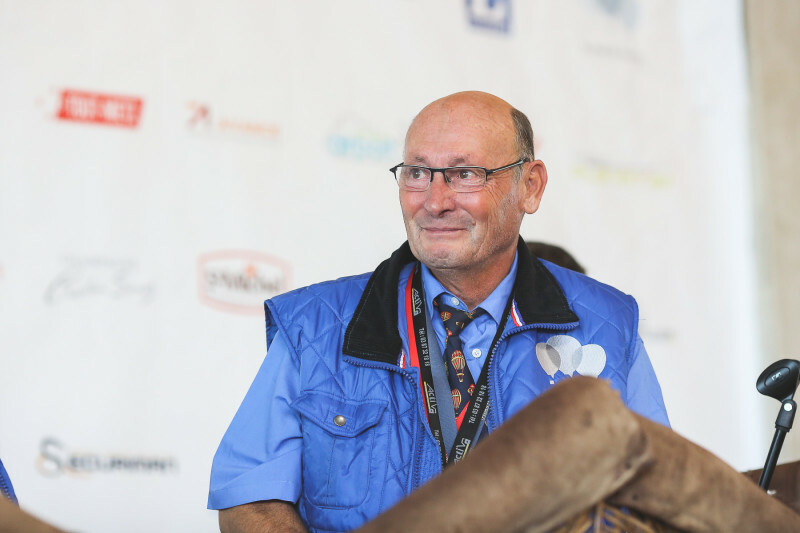 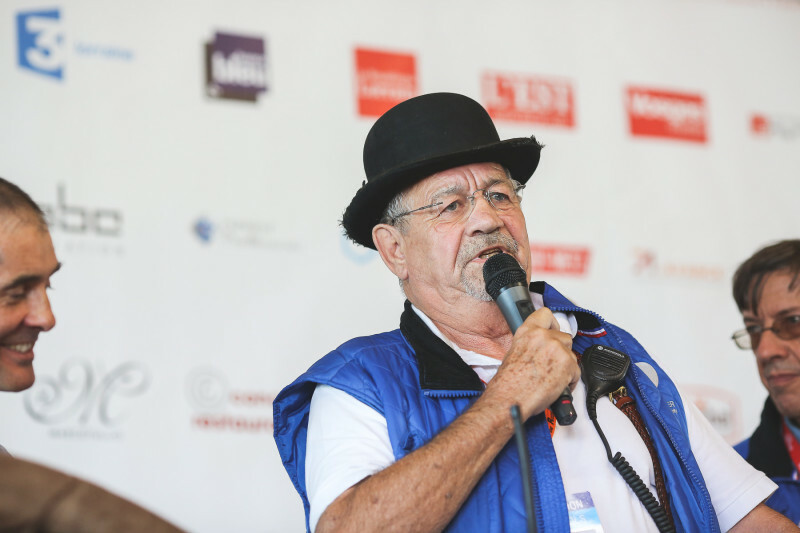 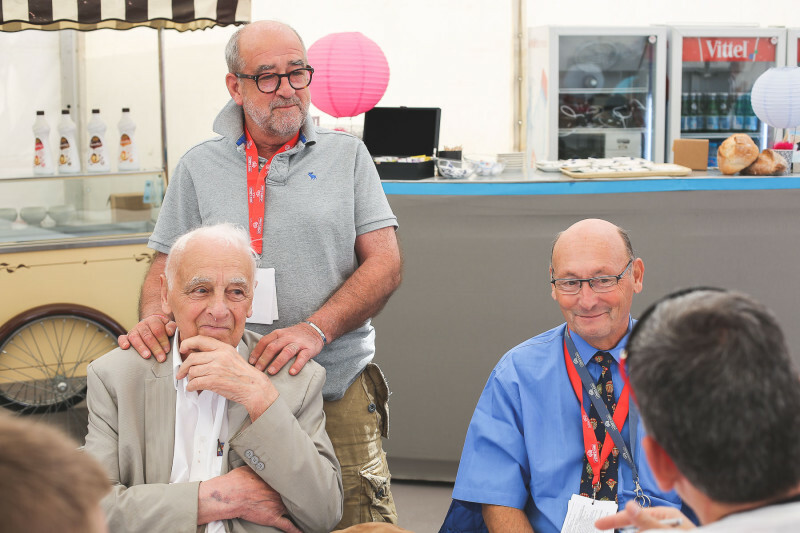 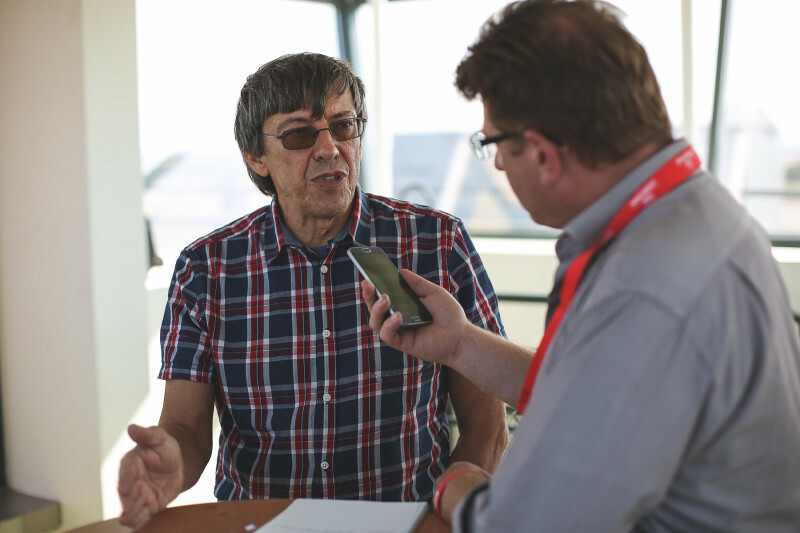 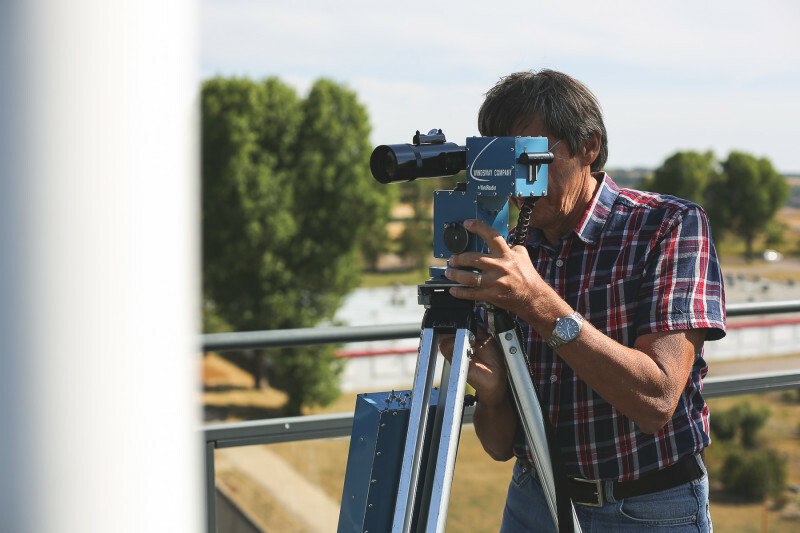 Philippe Buron Pilâtre met him around a press breakfast, the opportunity for them to discuss about details of the #LMAB15! 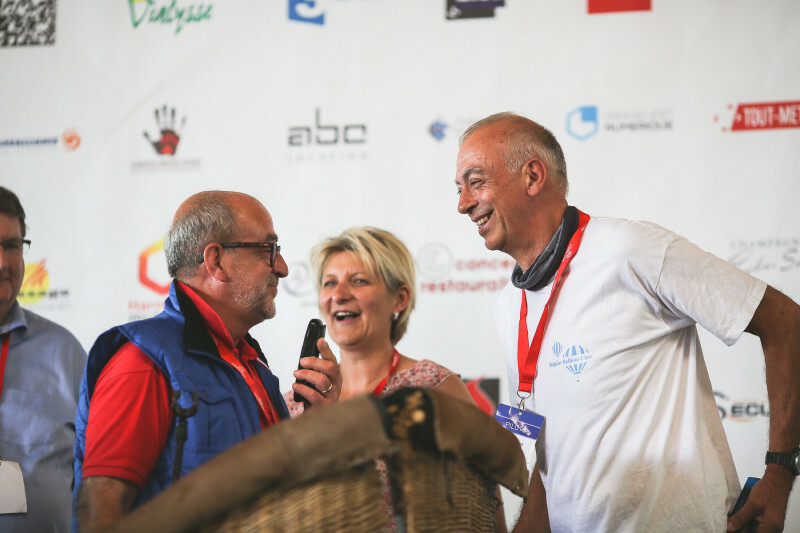 Emotions also during the afternoon when Cedric, head of launchers, gave a speech to congratulate the whole team and the organization in general, for all the work done during this 14th edition. 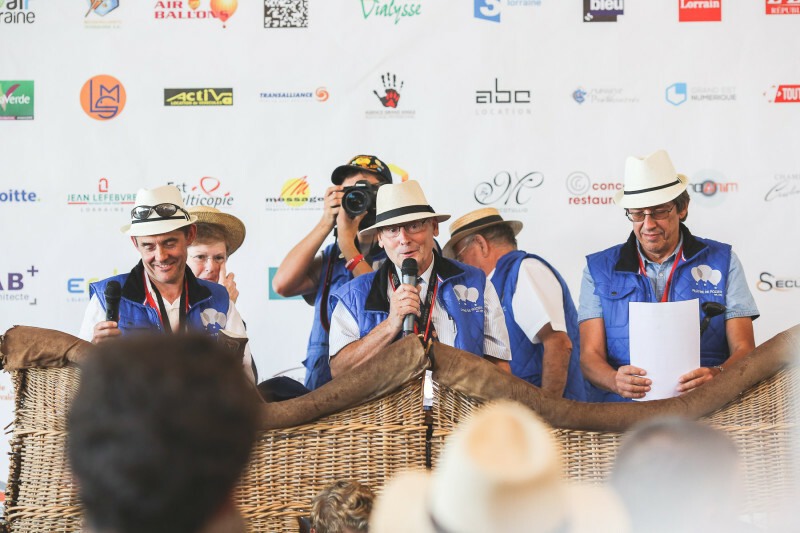 It is 6pm when the team of flight direction come for the last briefing, all with their finest hats! 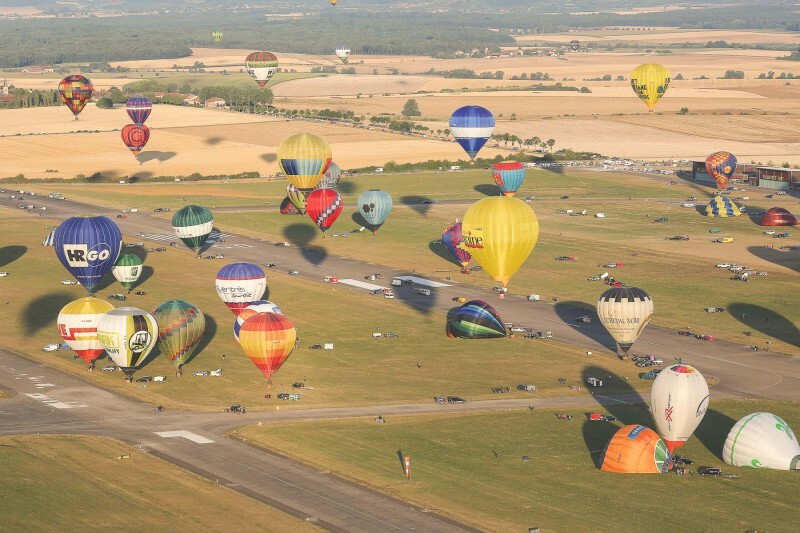 The audience was still very numerous for the evening flight, no less than 20 000 people have marveled at the ballet of all pilots in a hurry to take the air balloons! 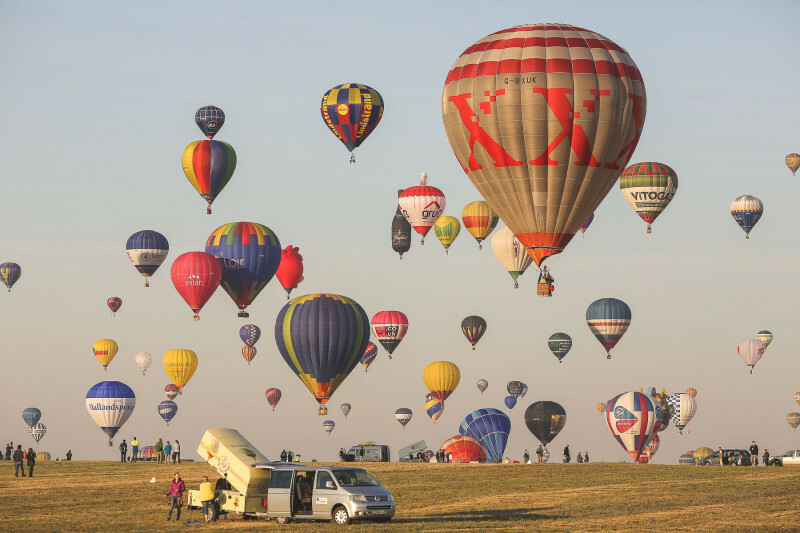 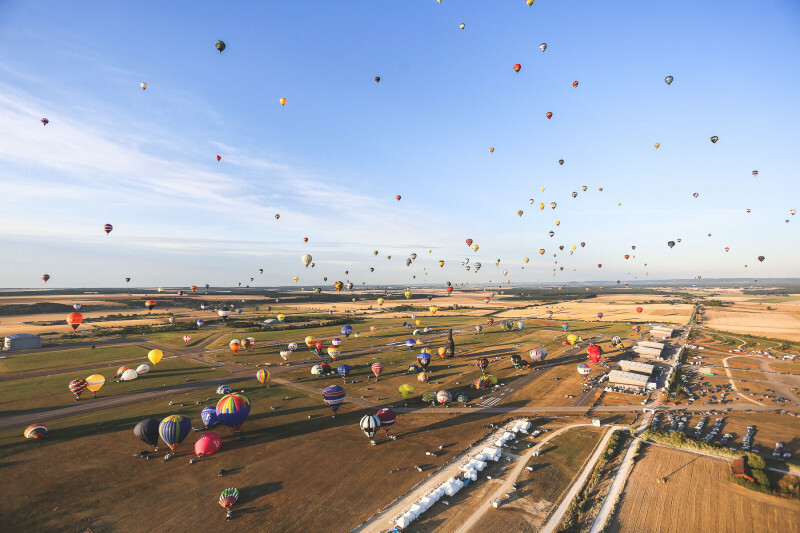 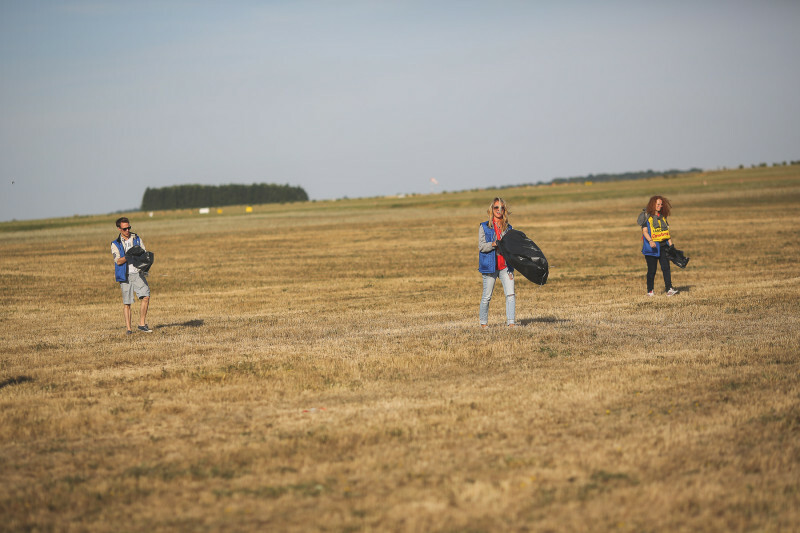 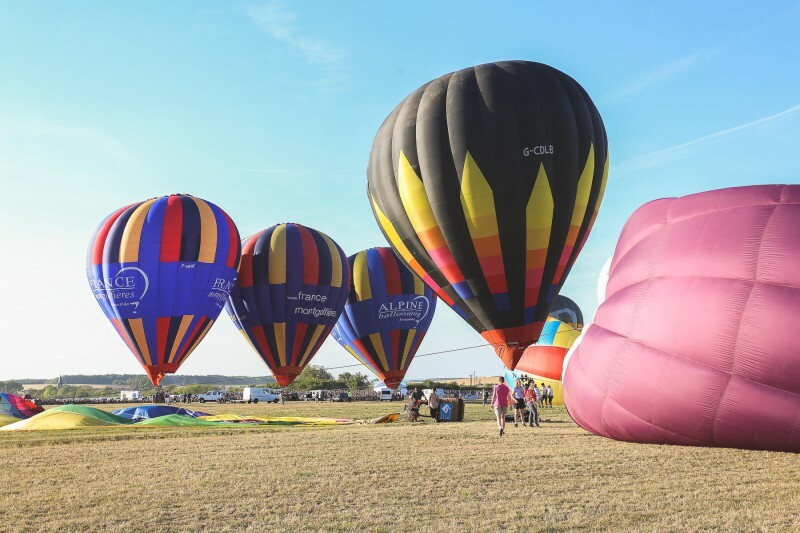 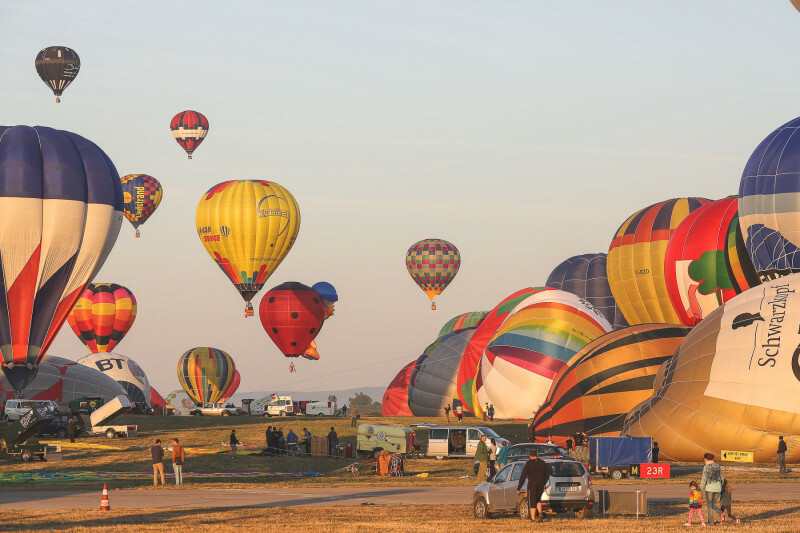 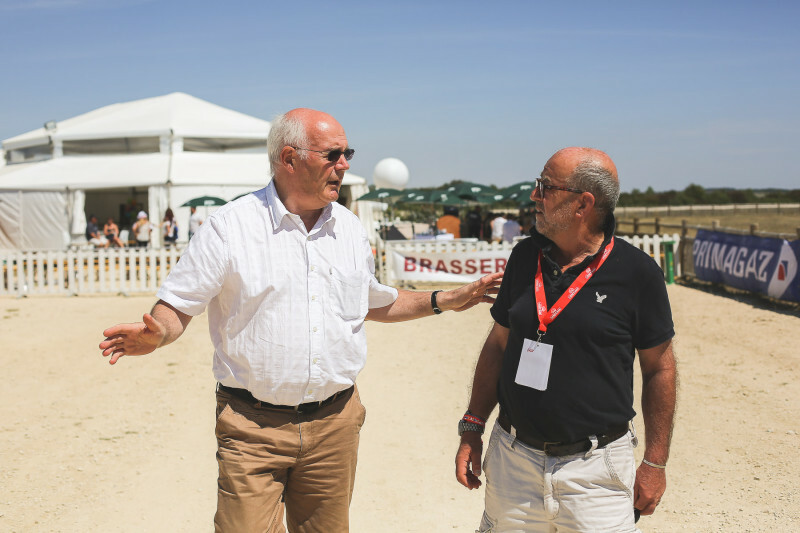 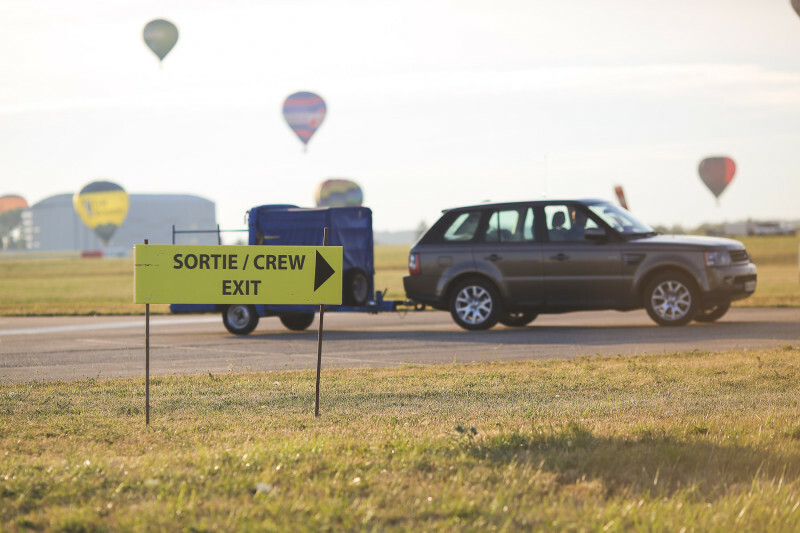 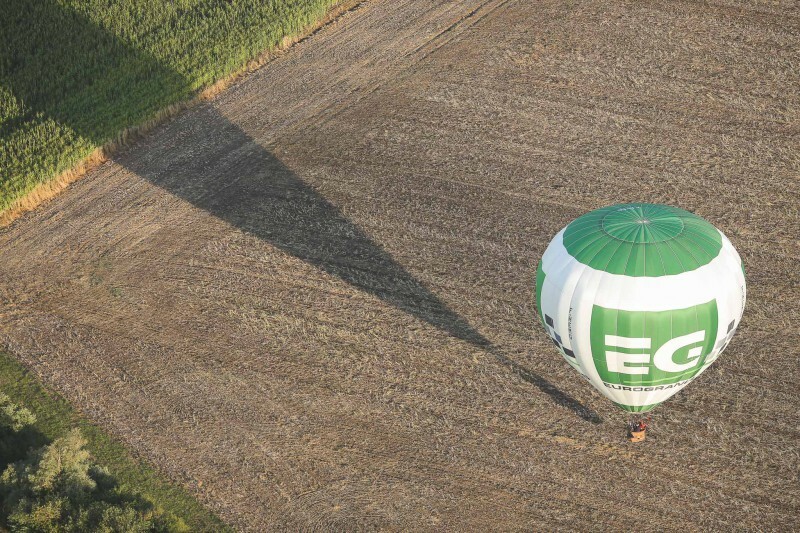 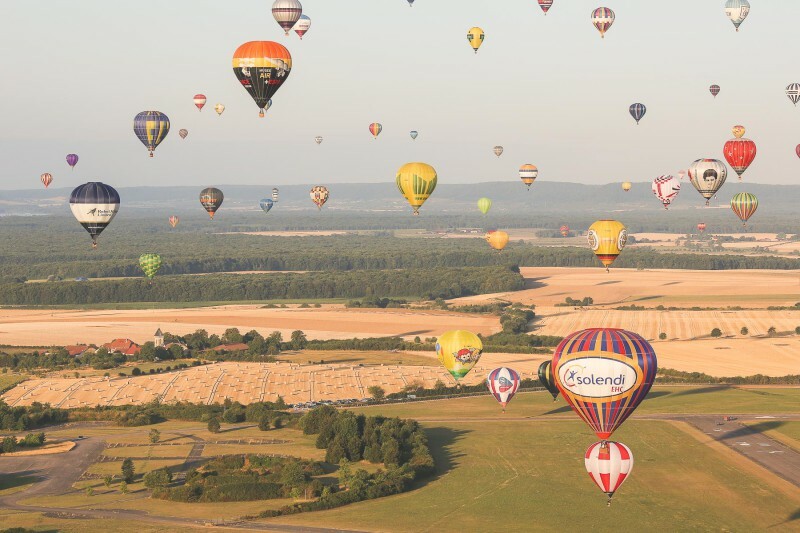 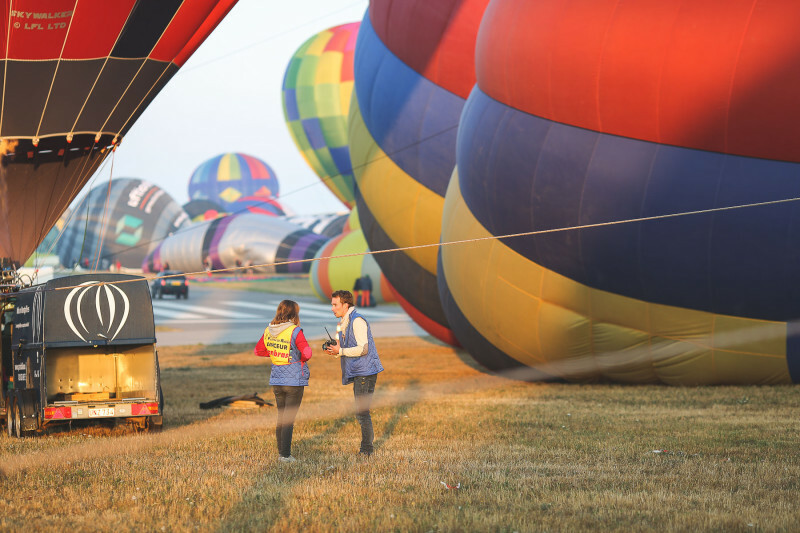 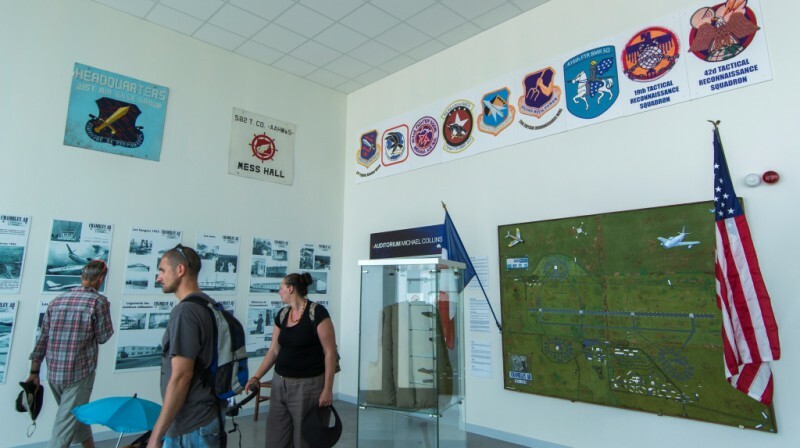 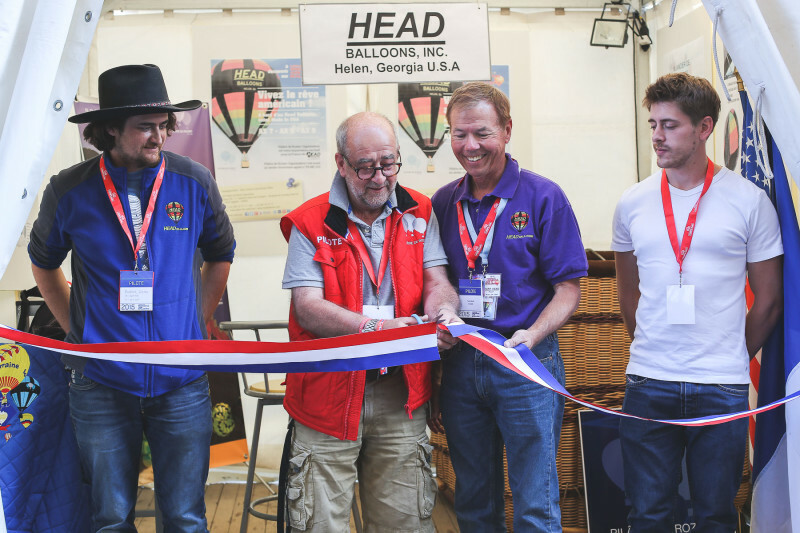 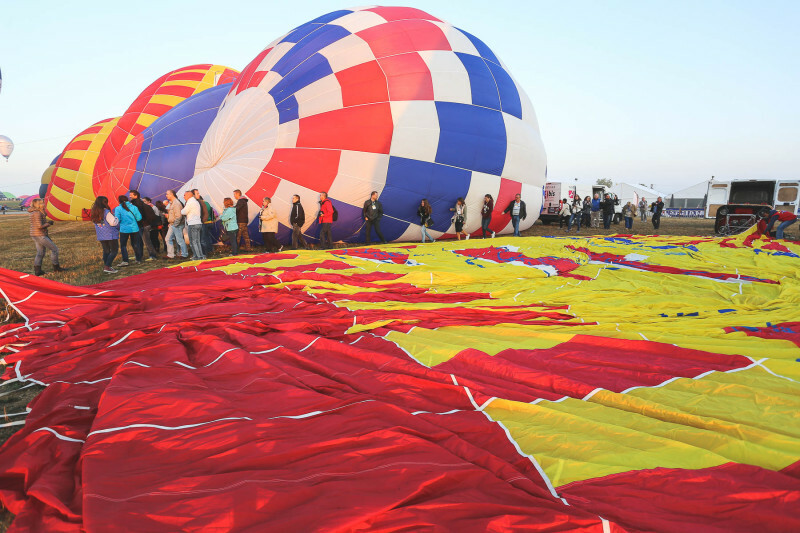 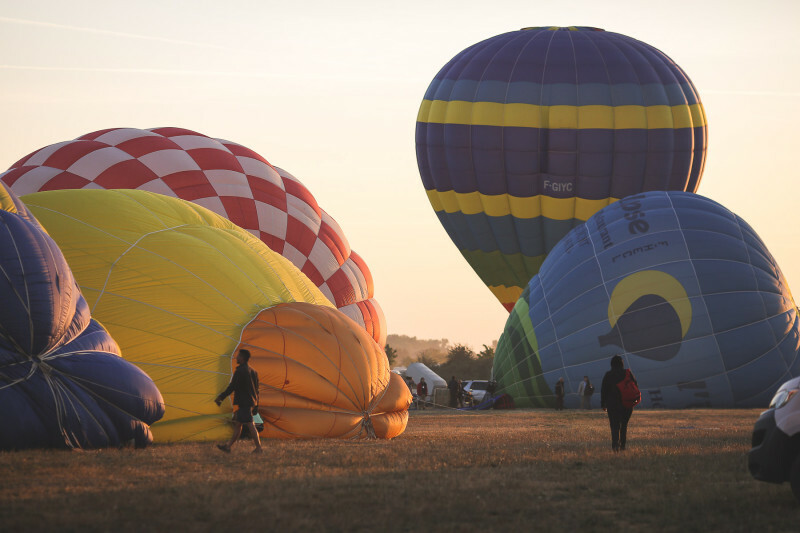 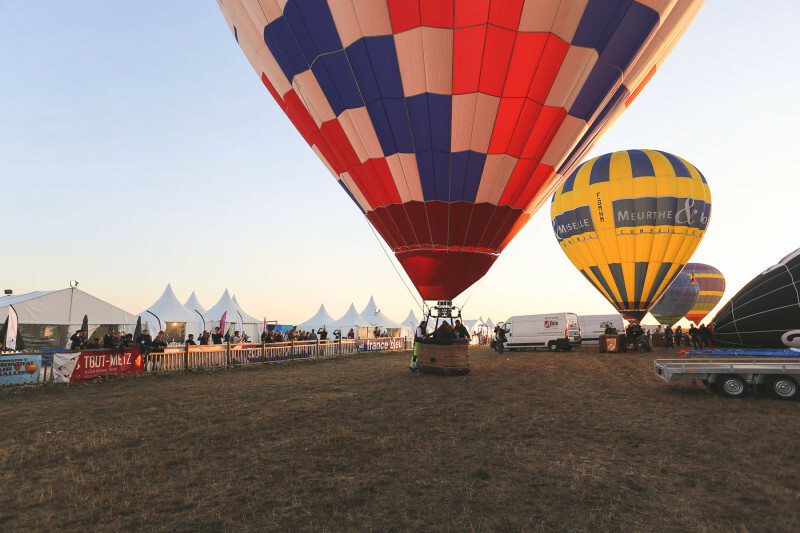 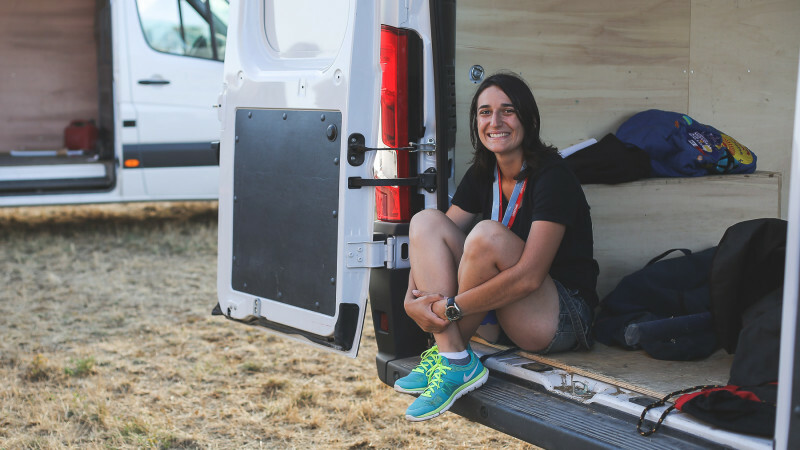 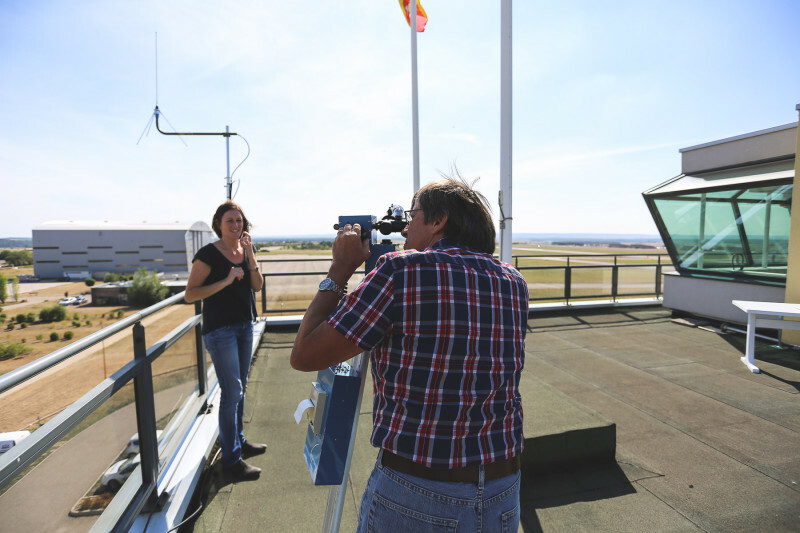 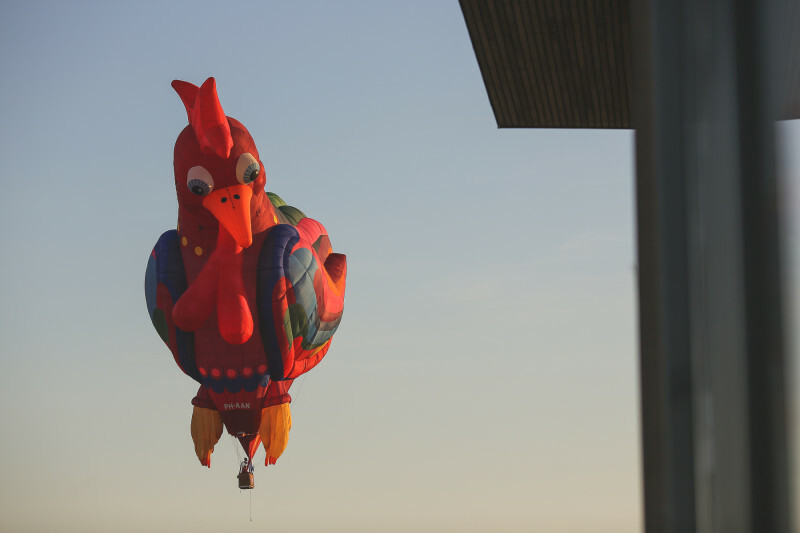 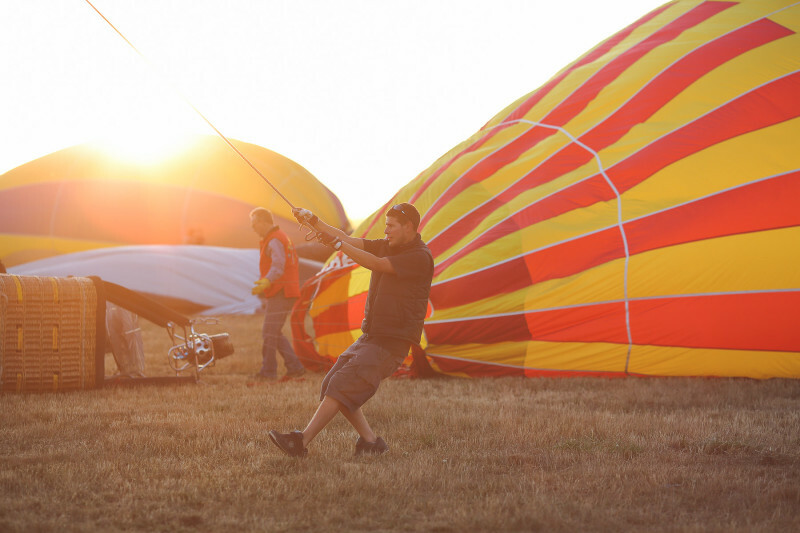 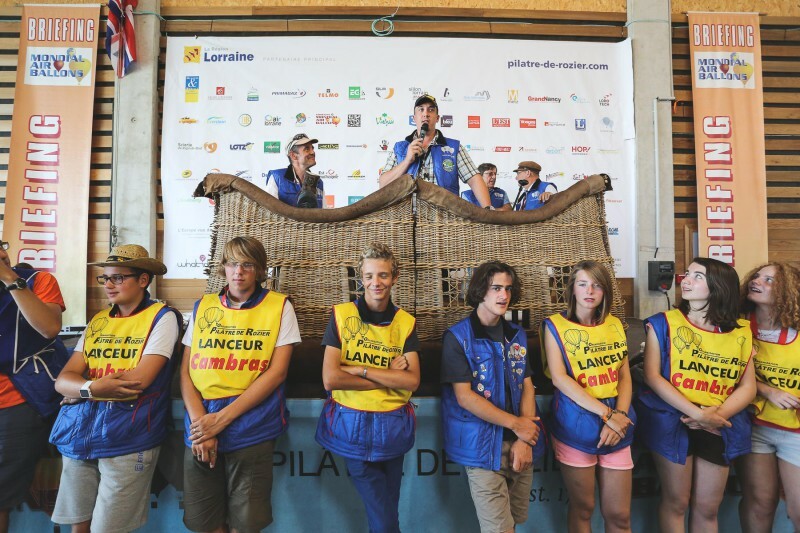 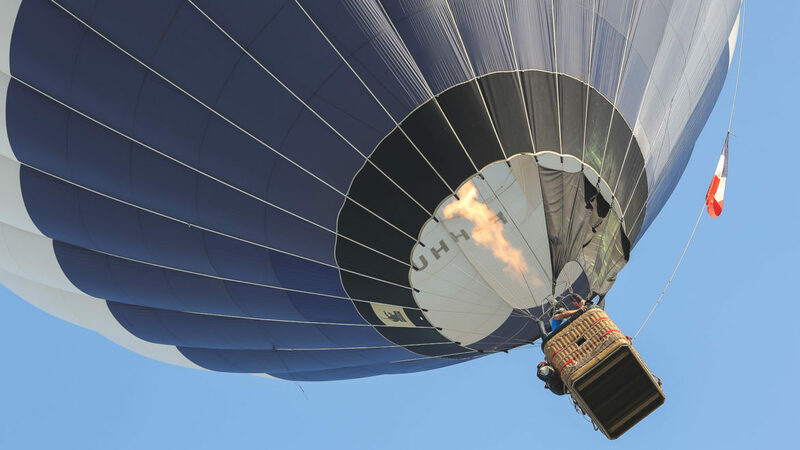 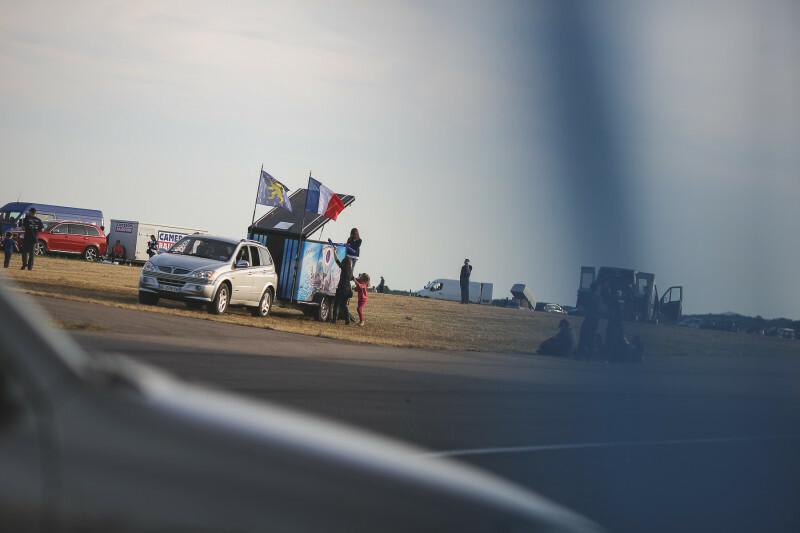 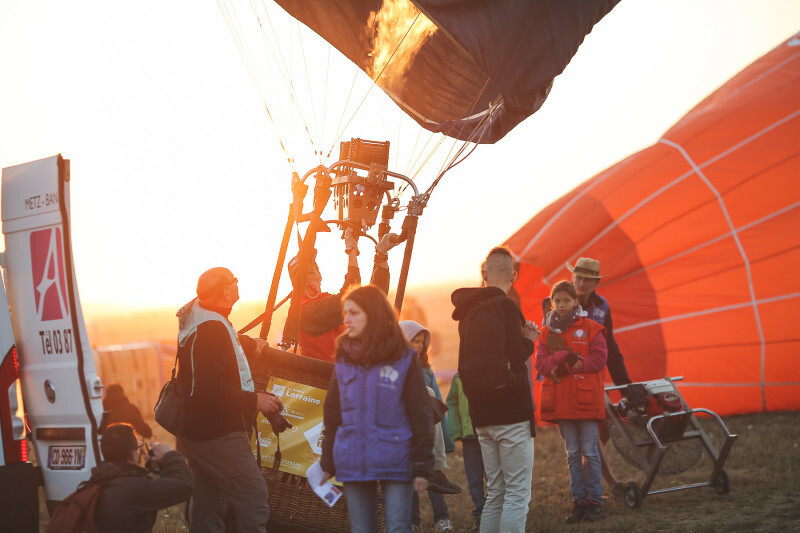 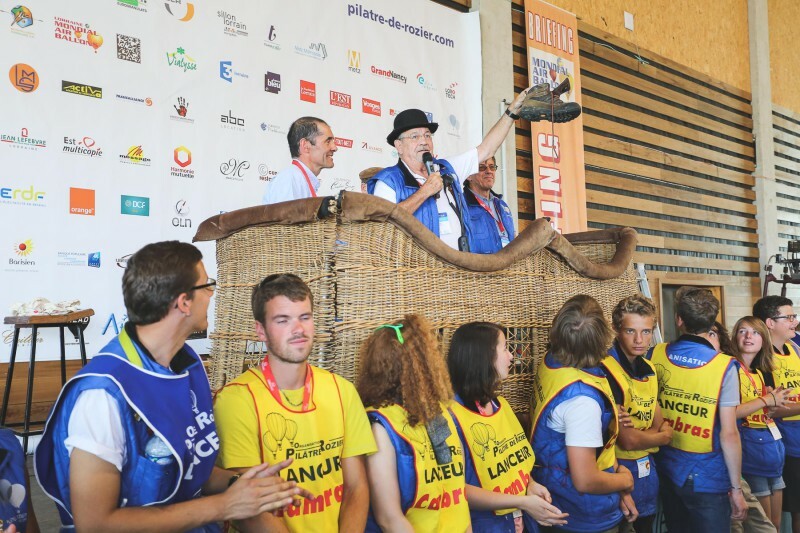 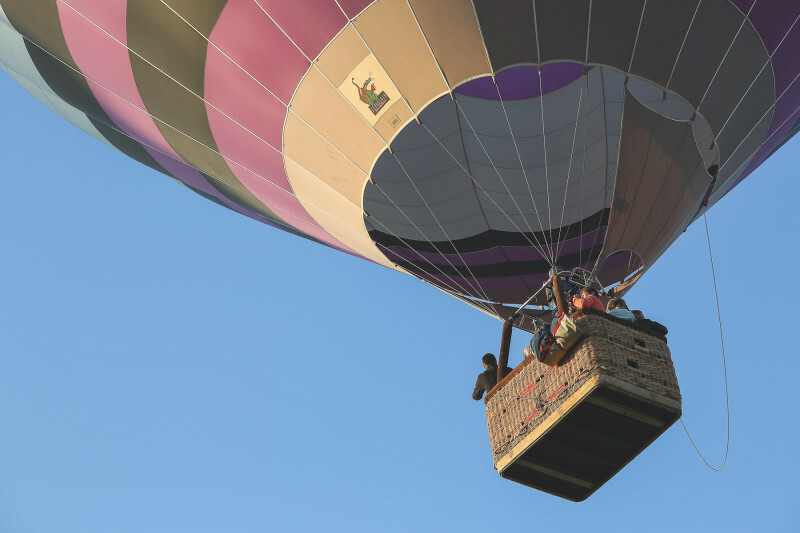 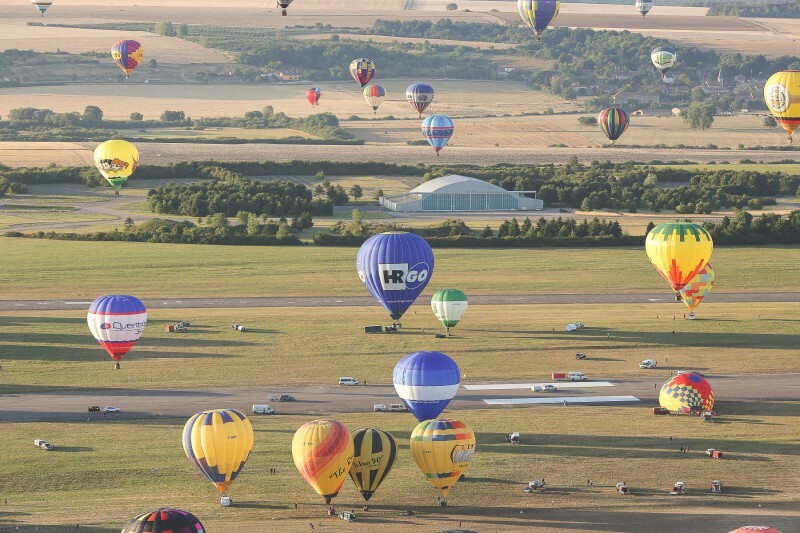 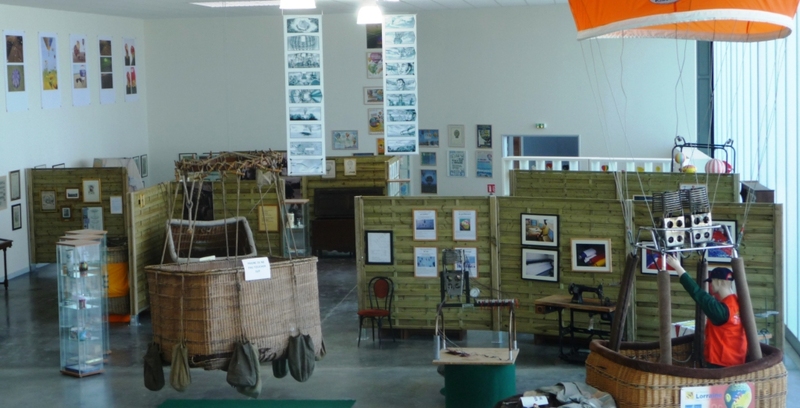 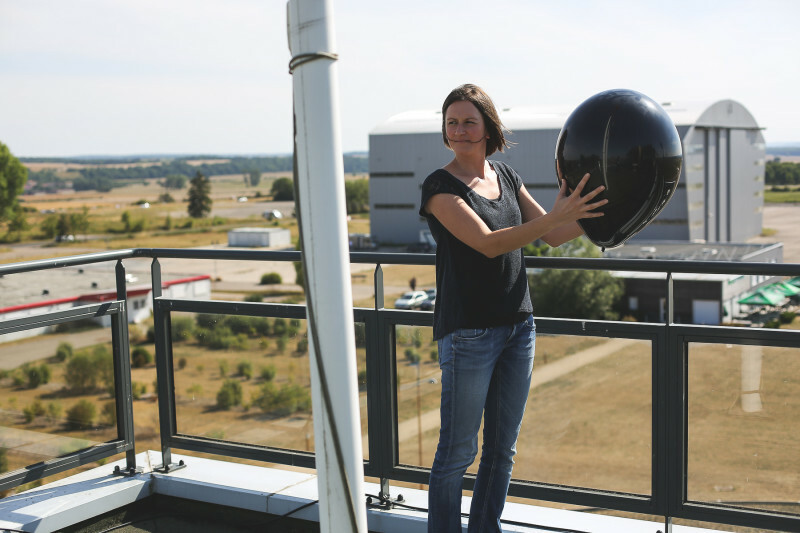 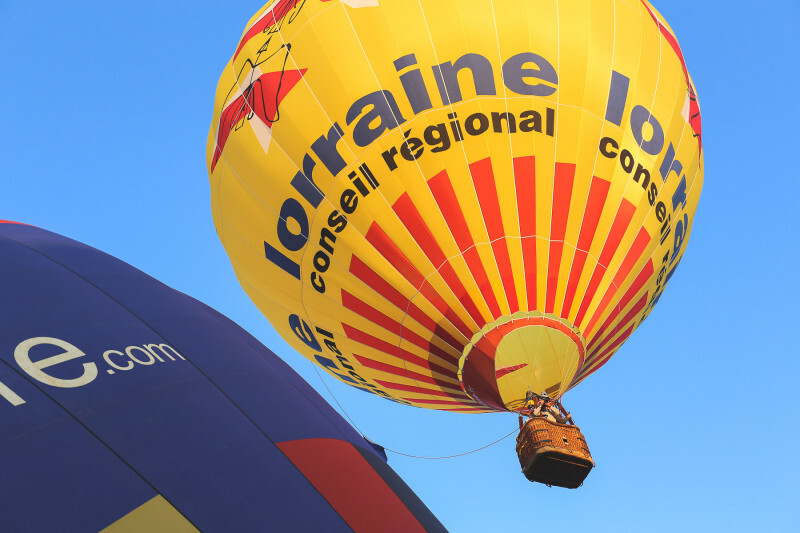 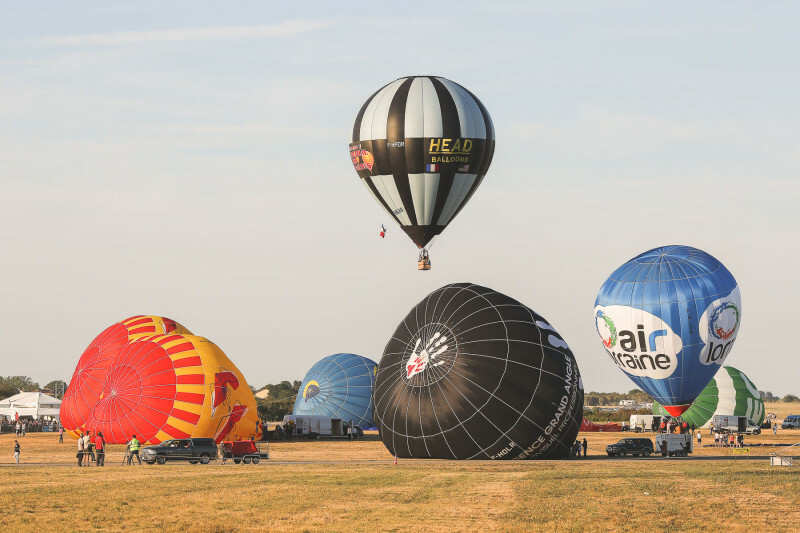 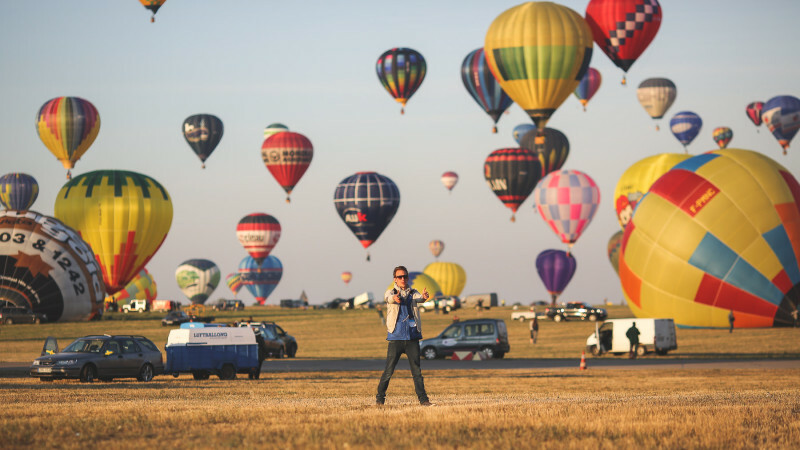 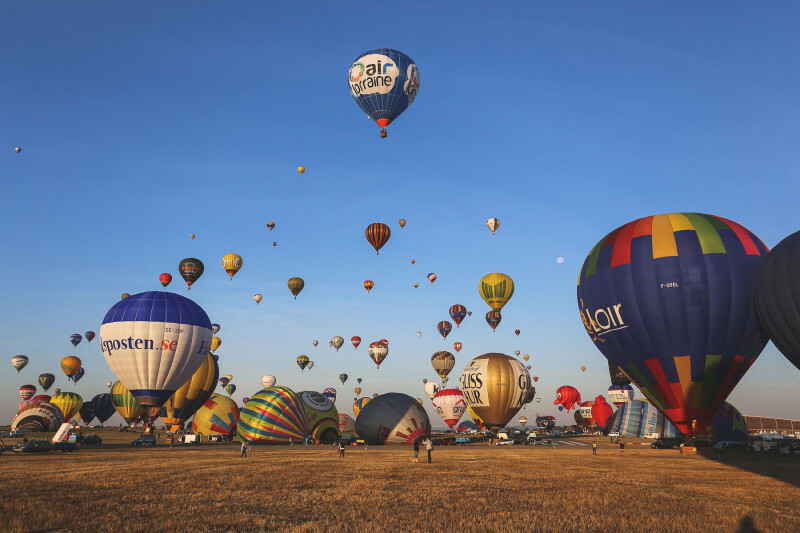 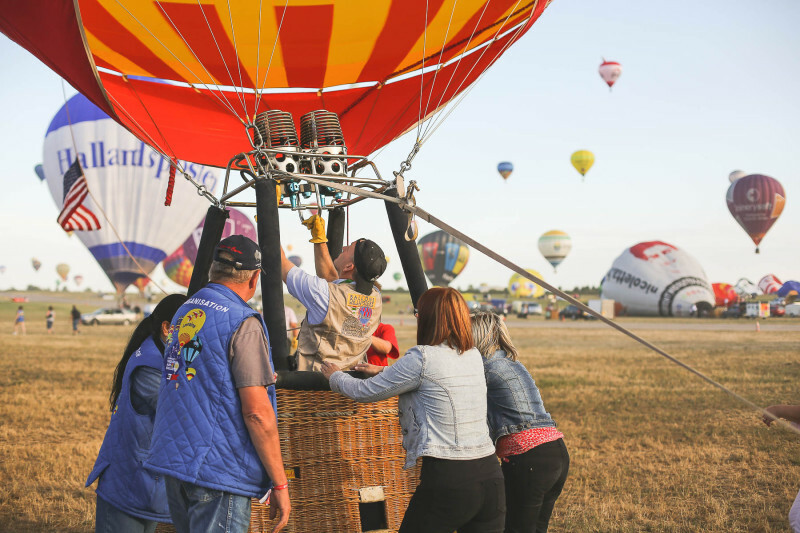 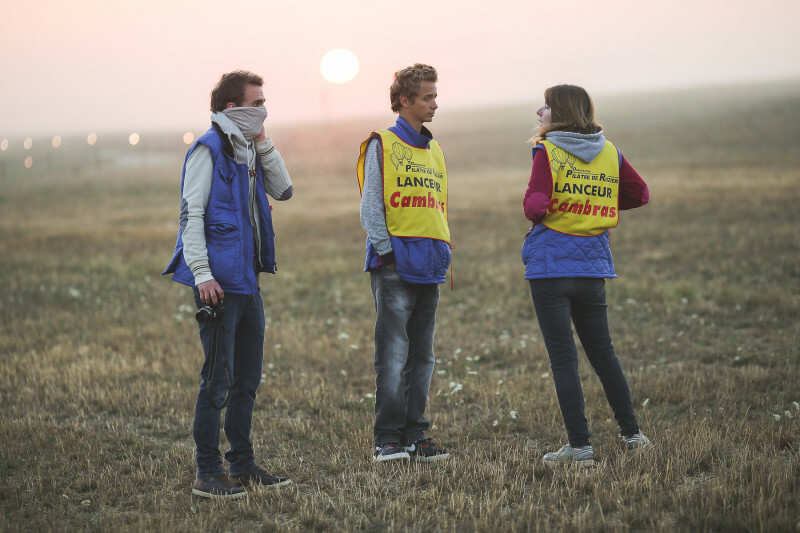 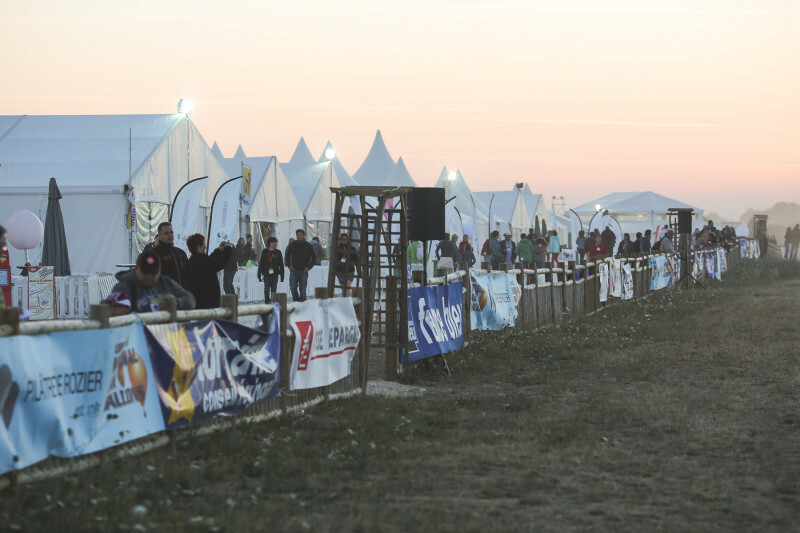 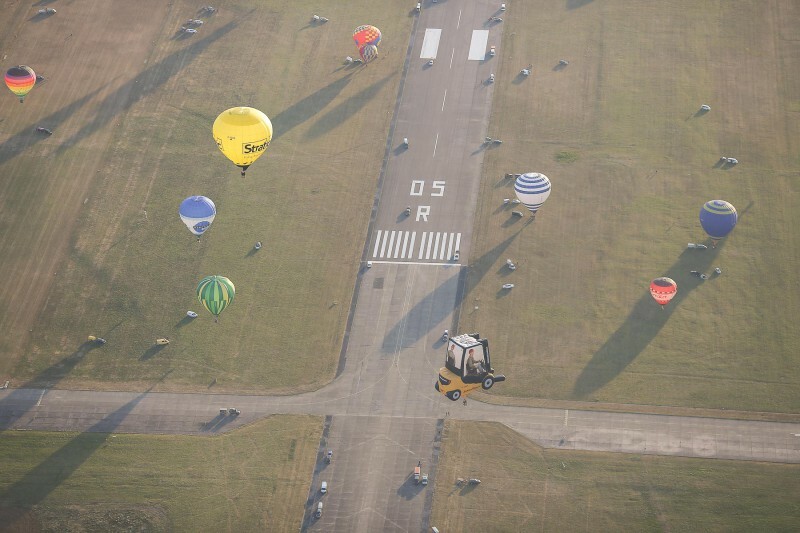 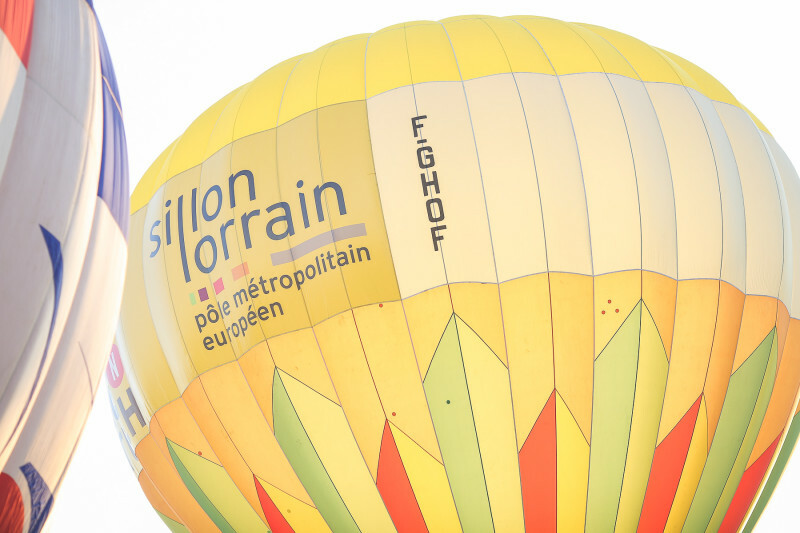 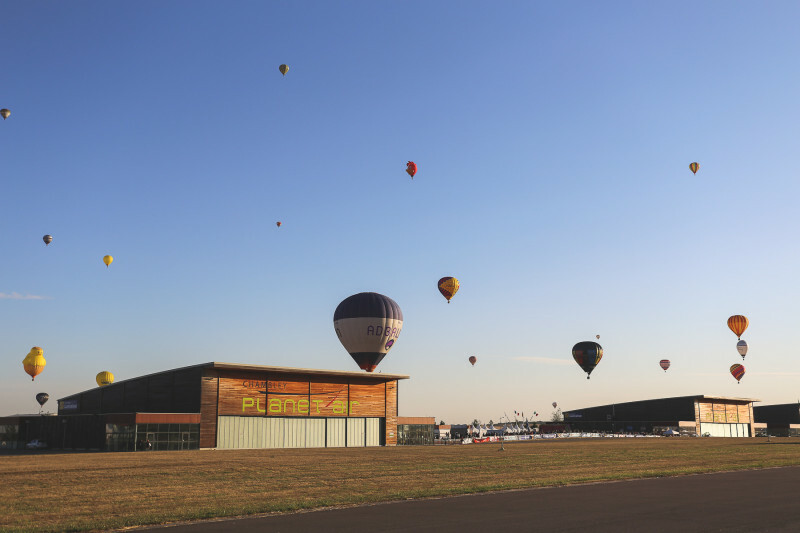 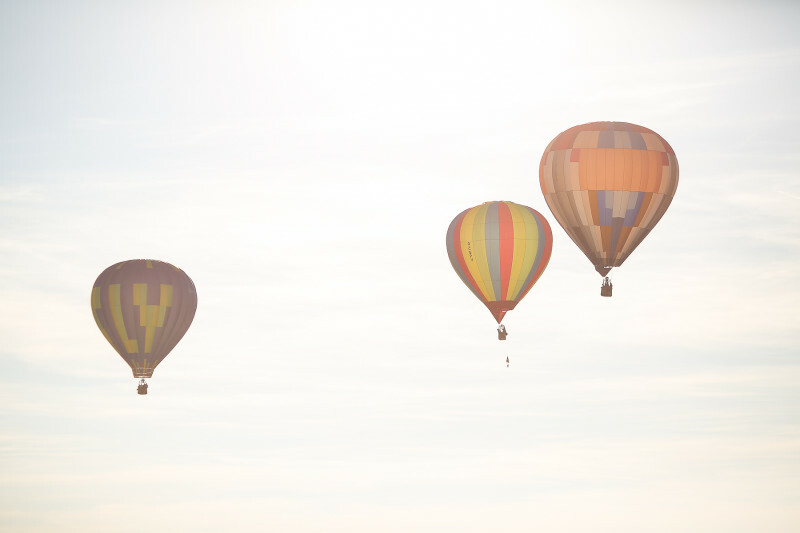 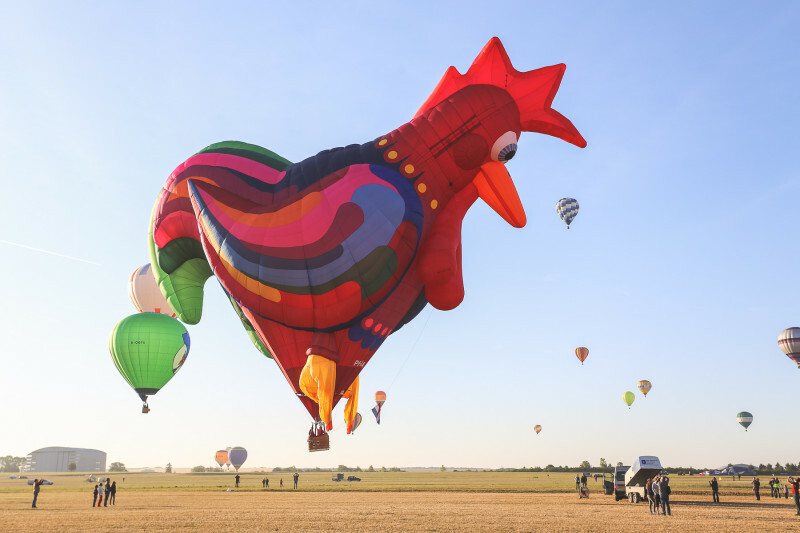 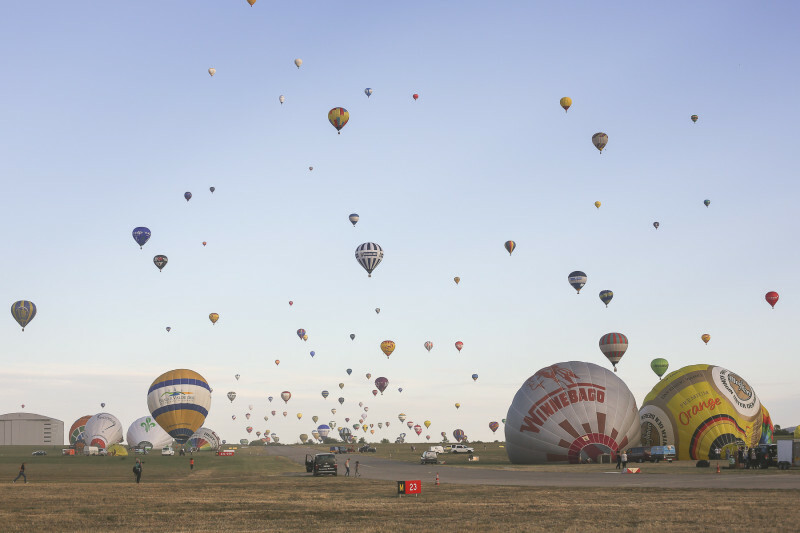 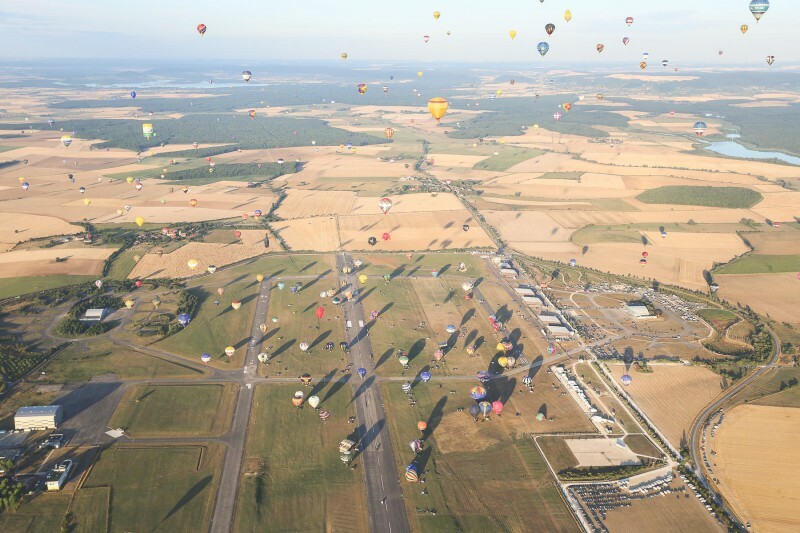 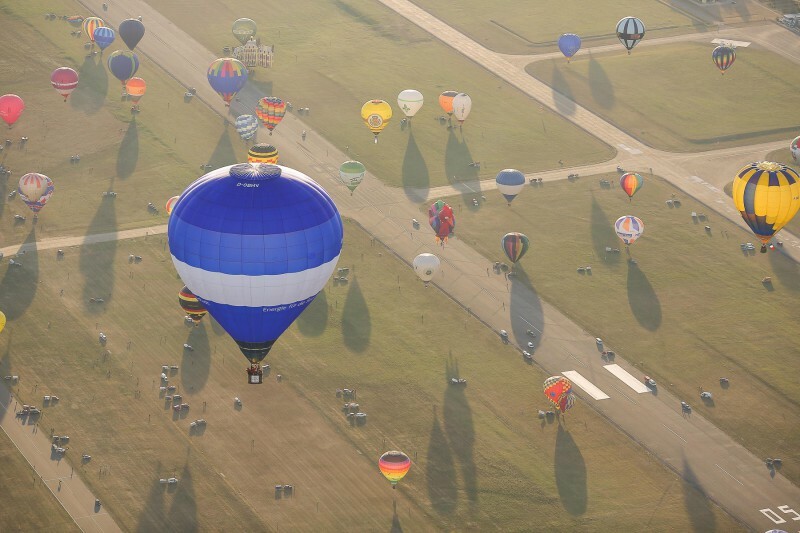 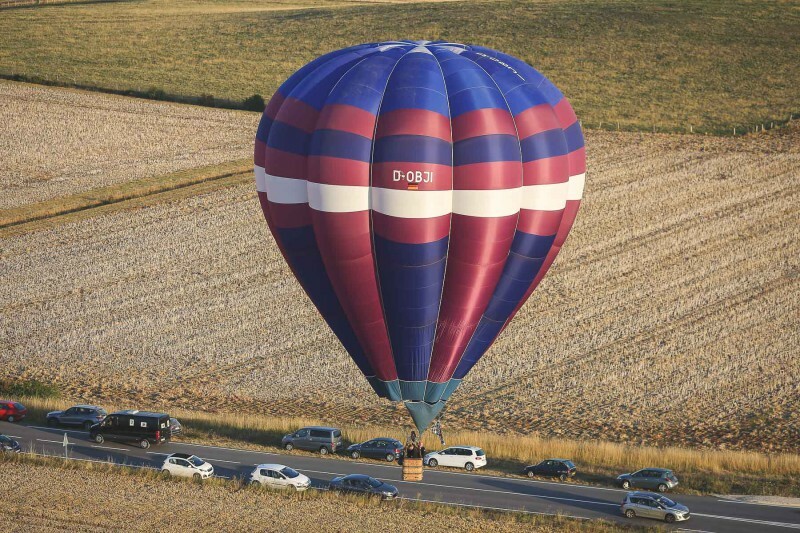 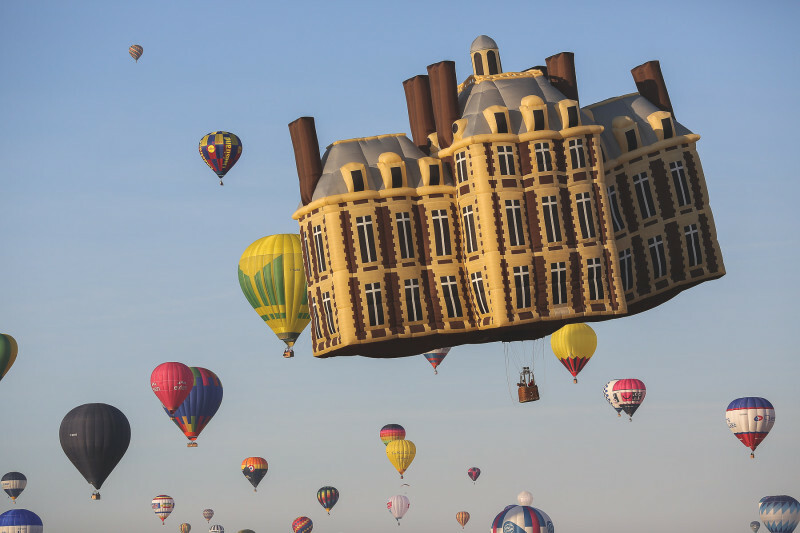 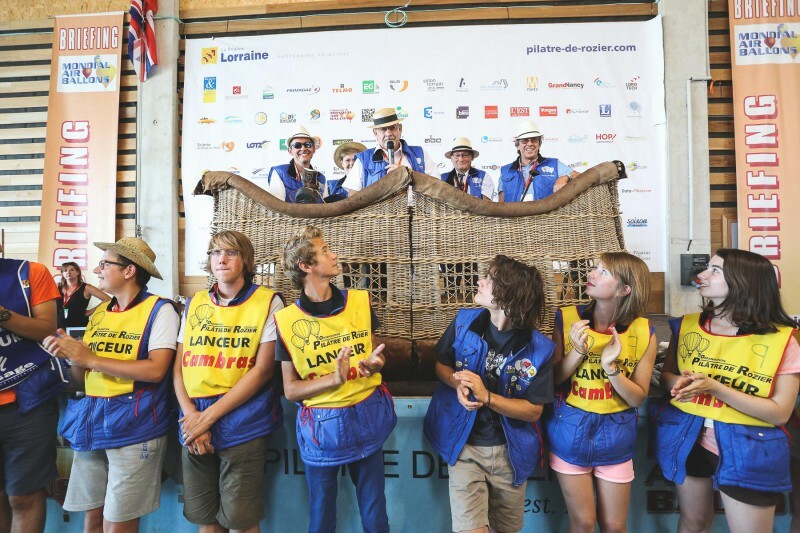 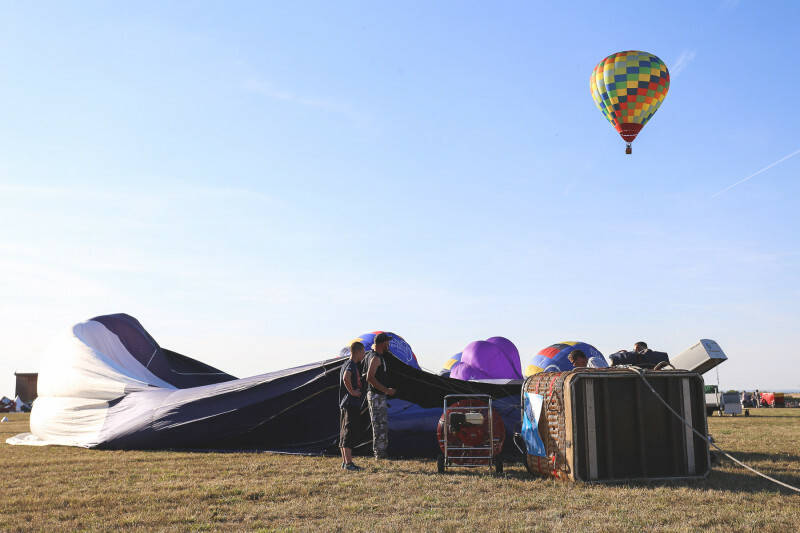 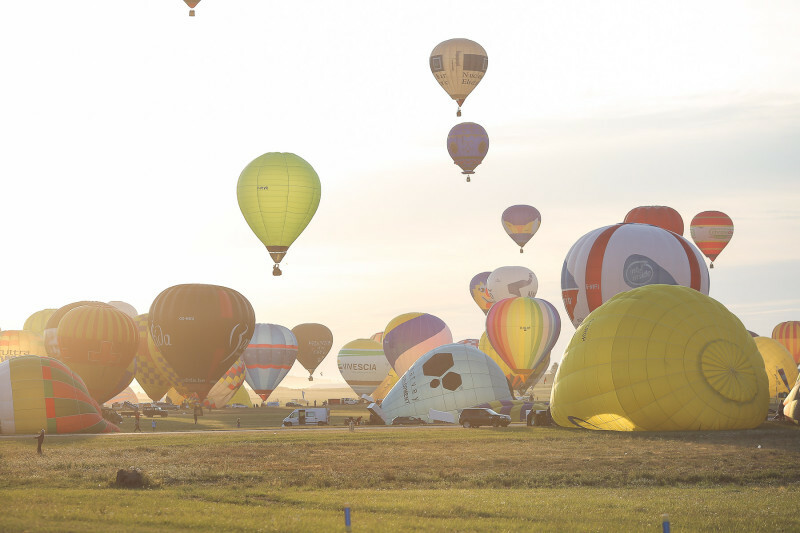 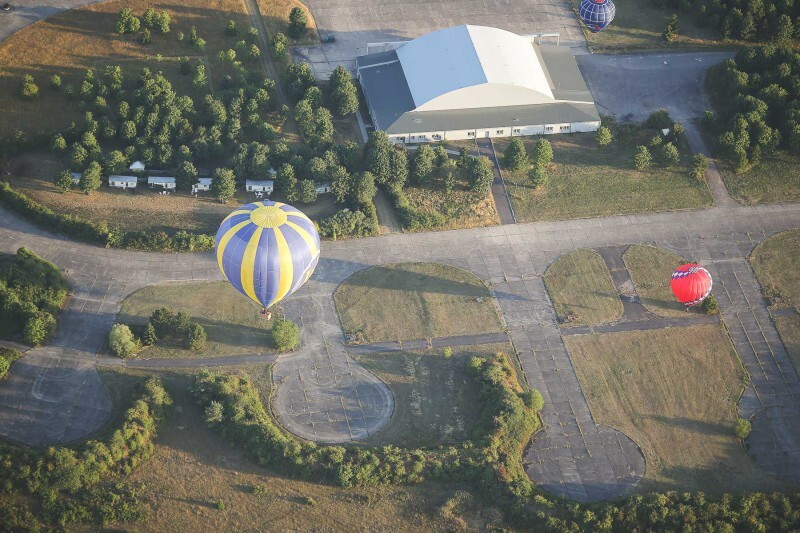 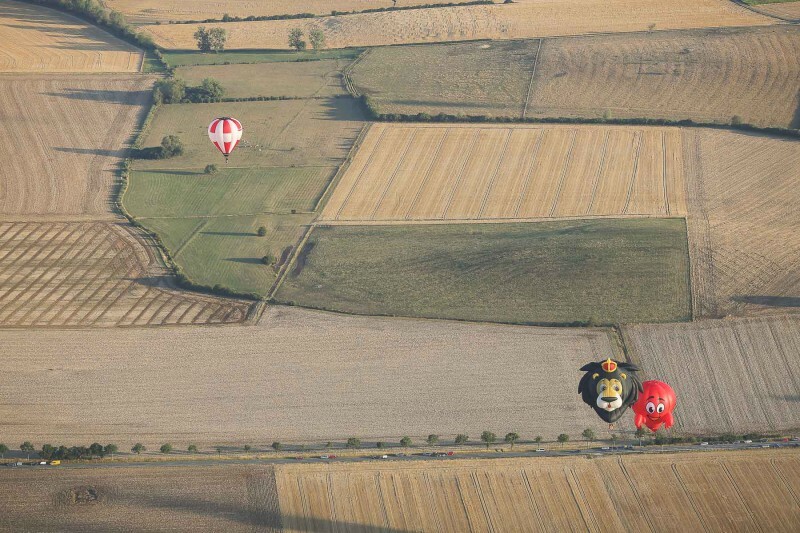 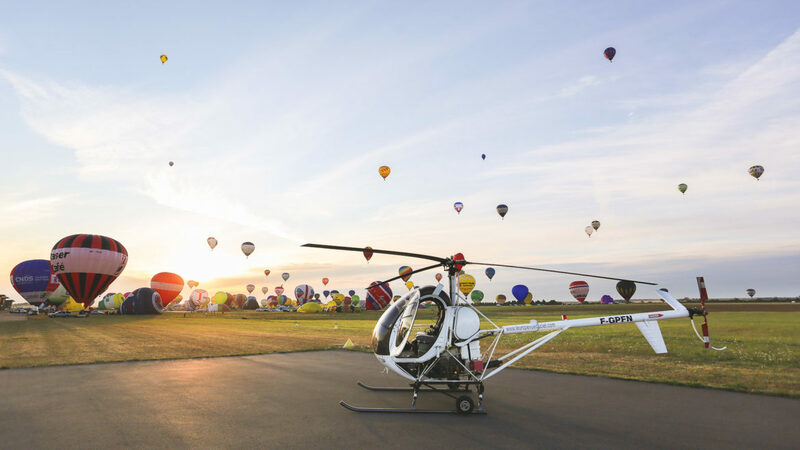 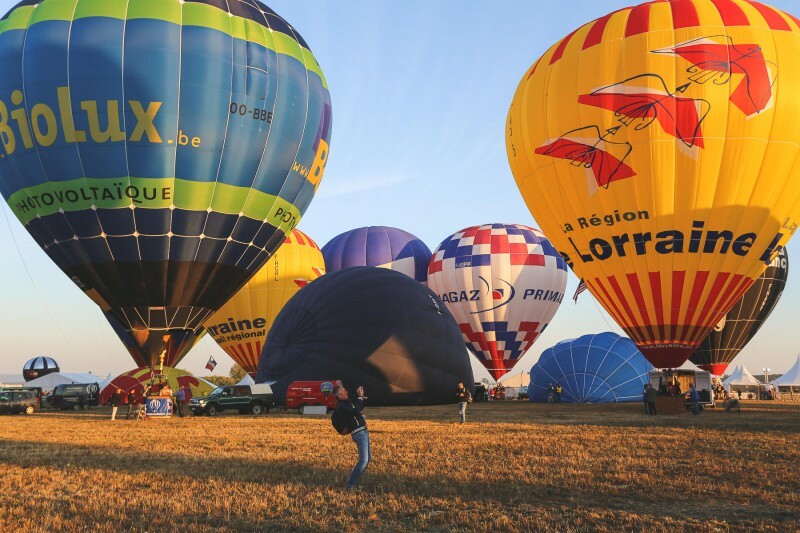 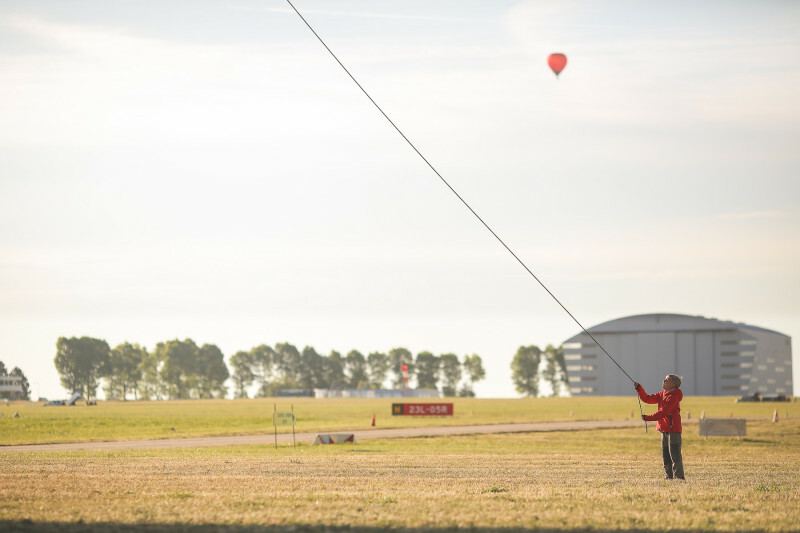 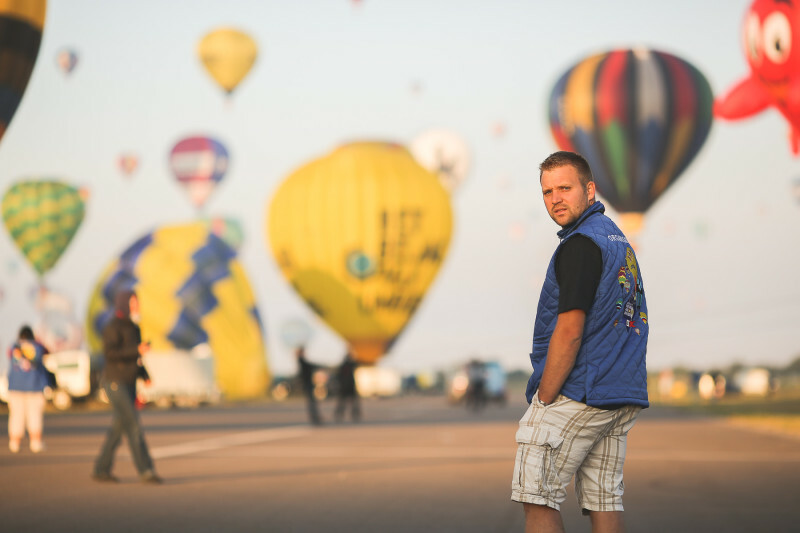 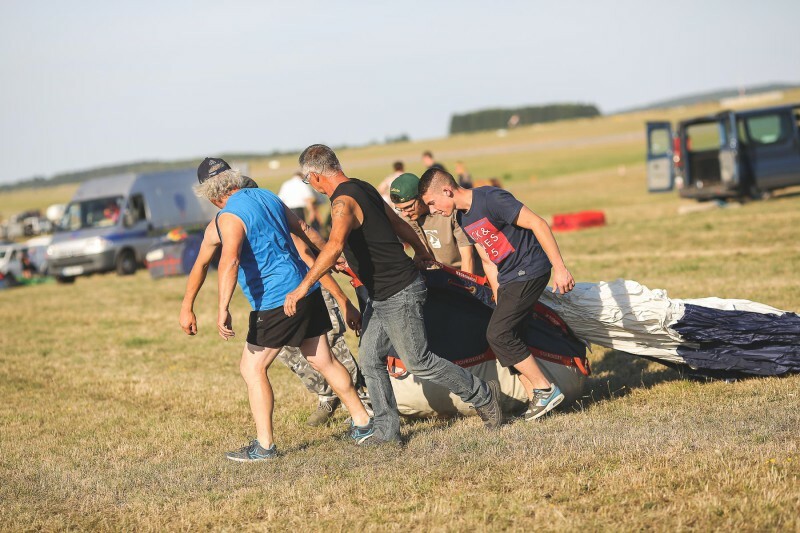 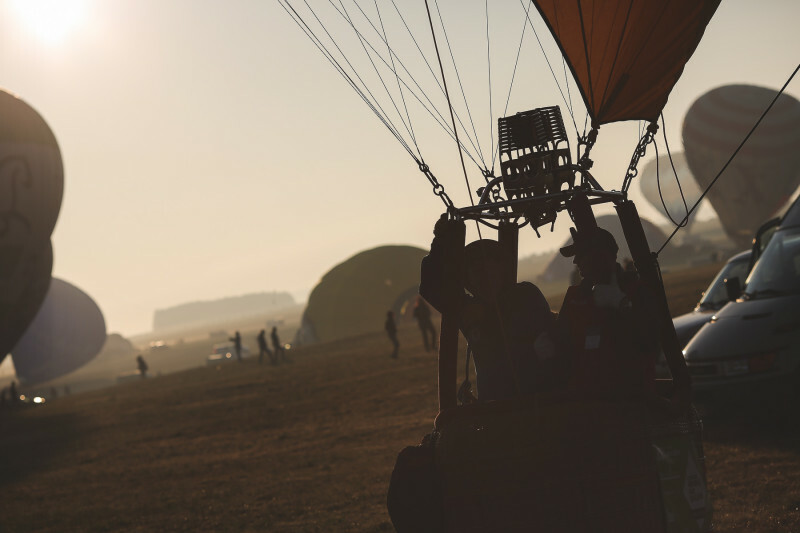 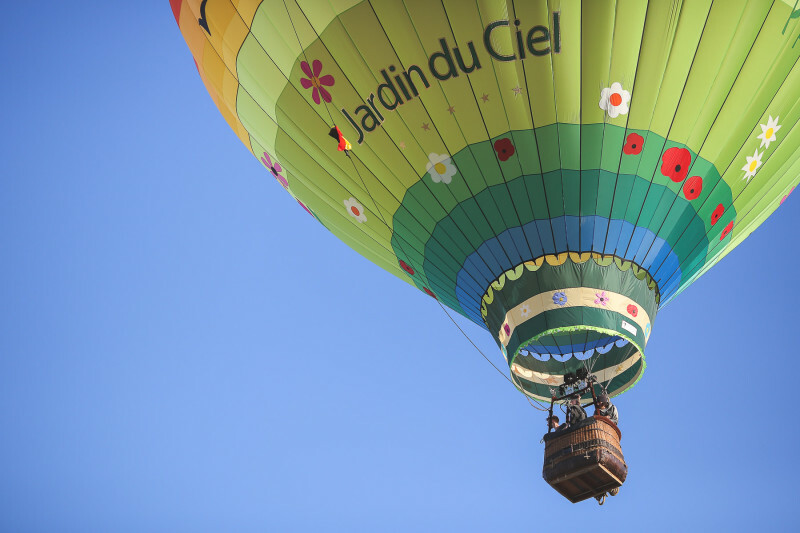 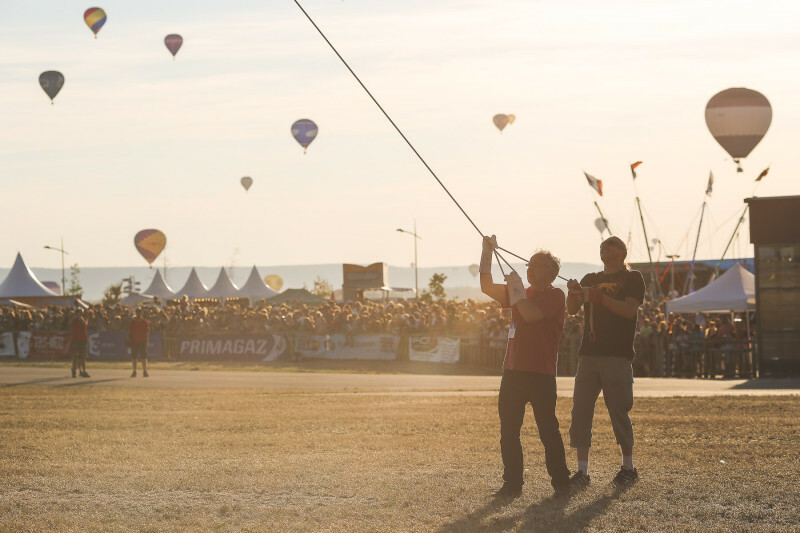 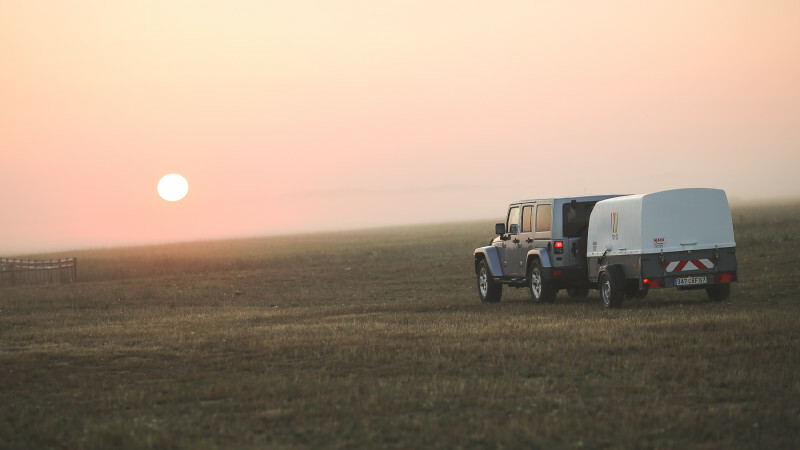 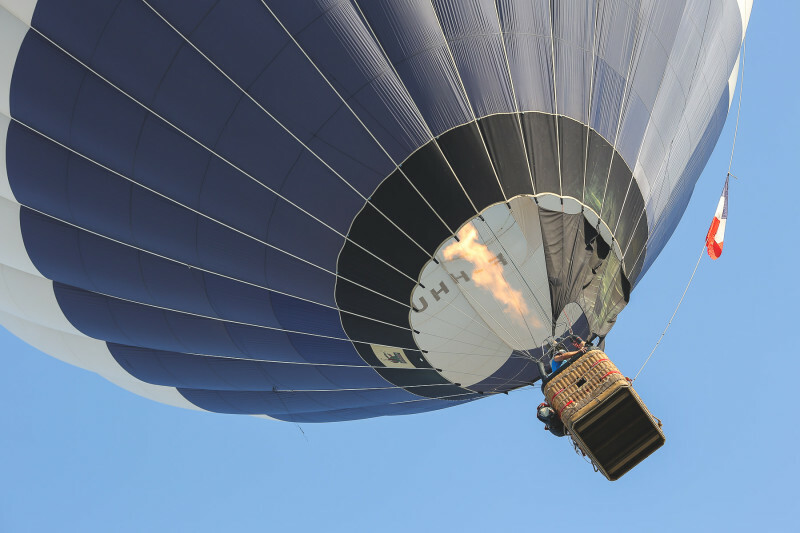 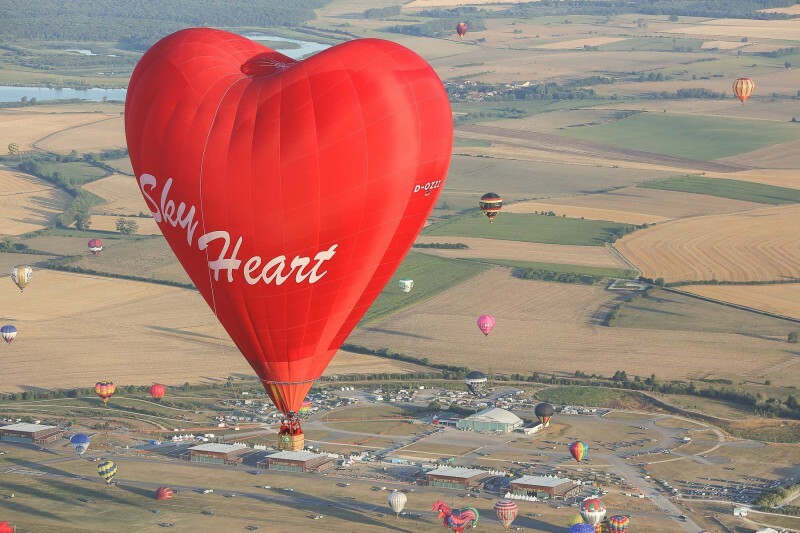 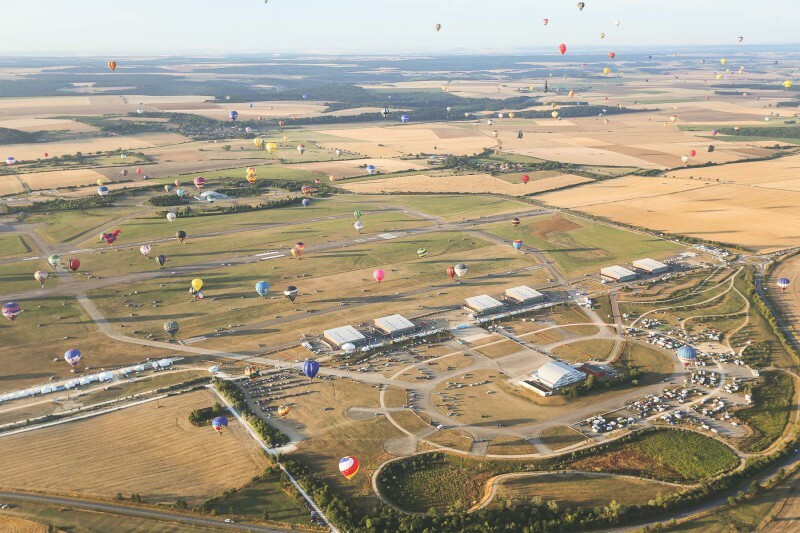 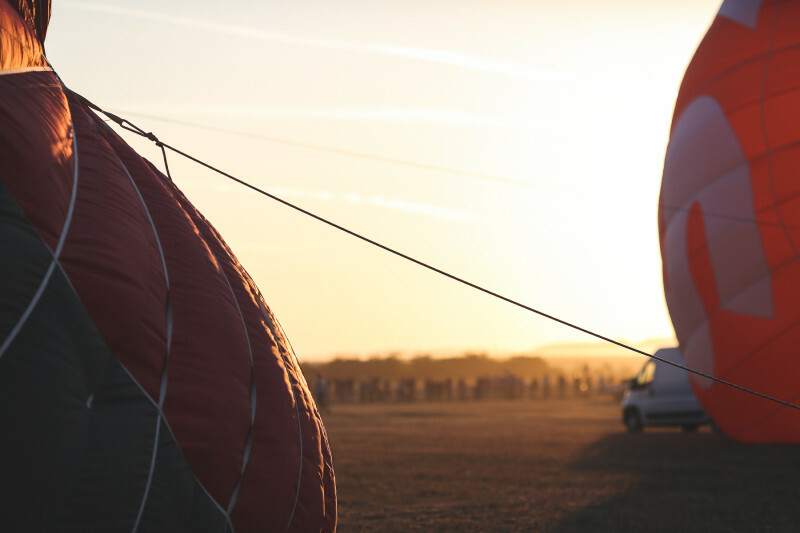 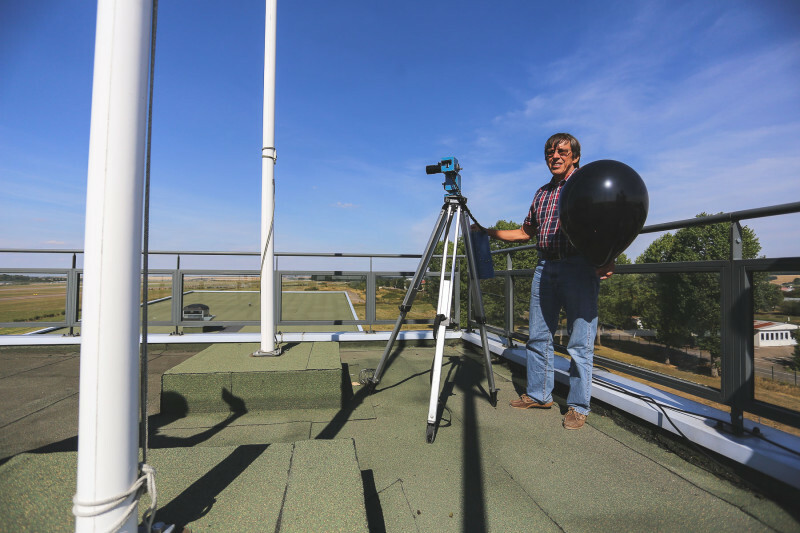 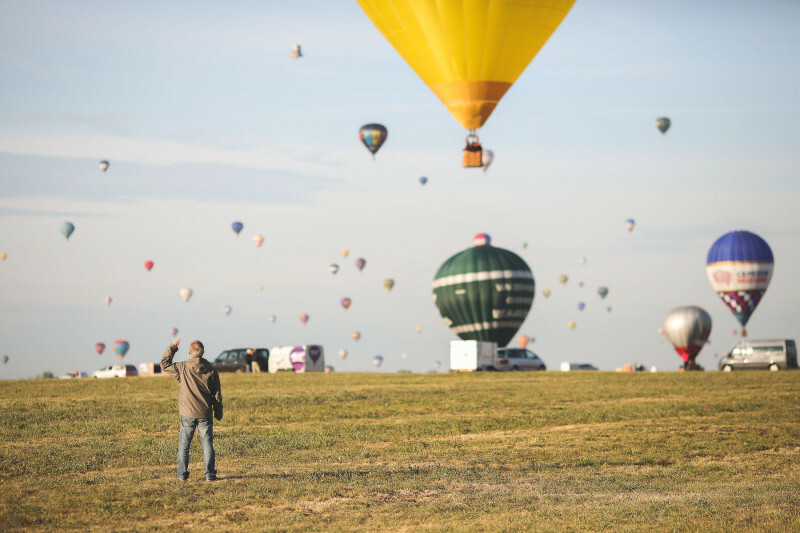 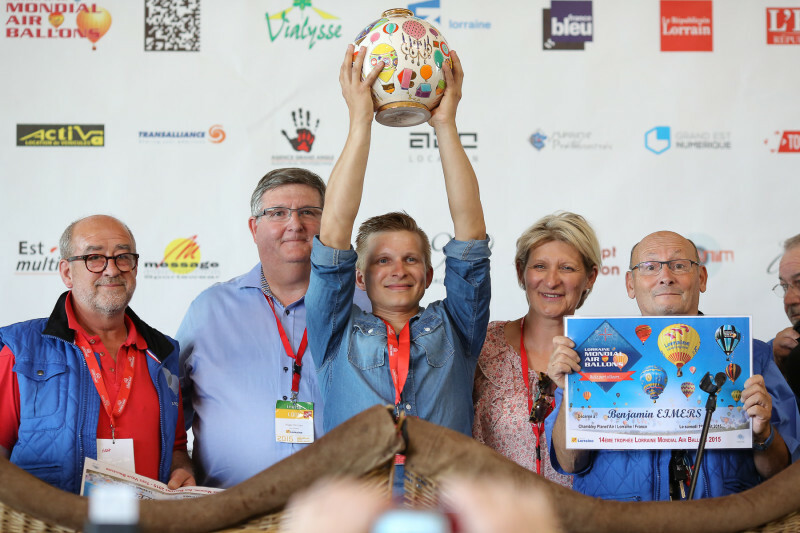 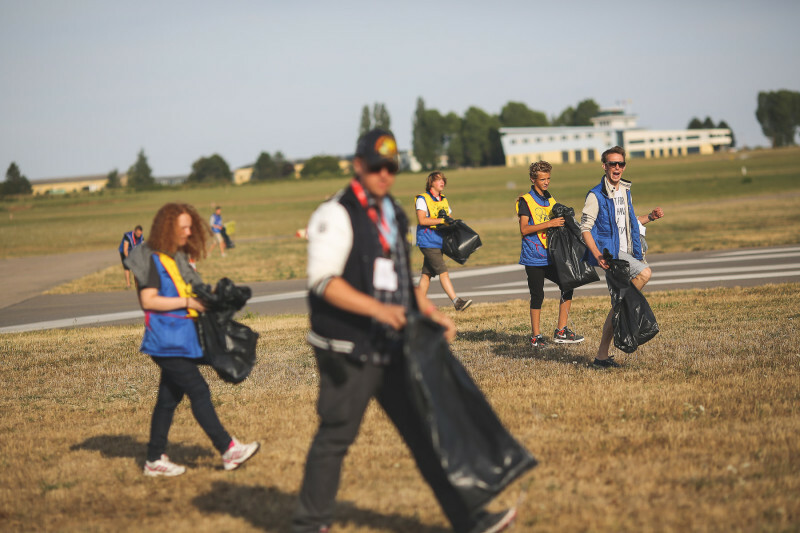 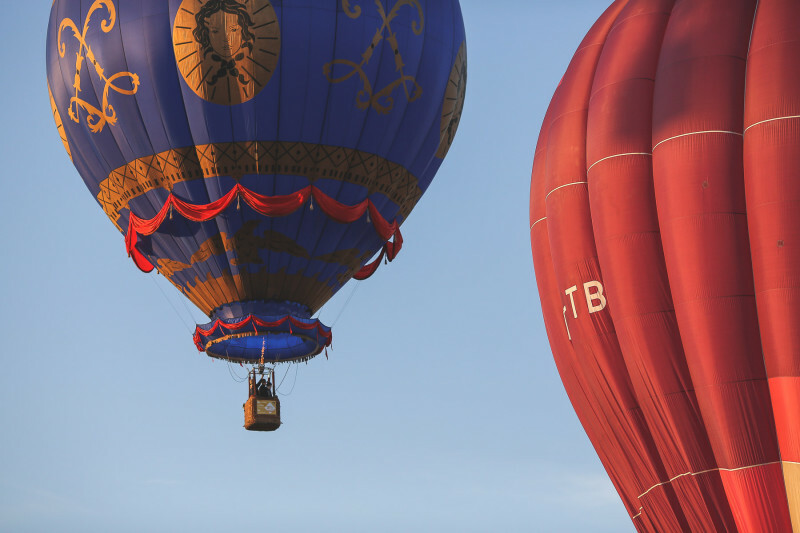 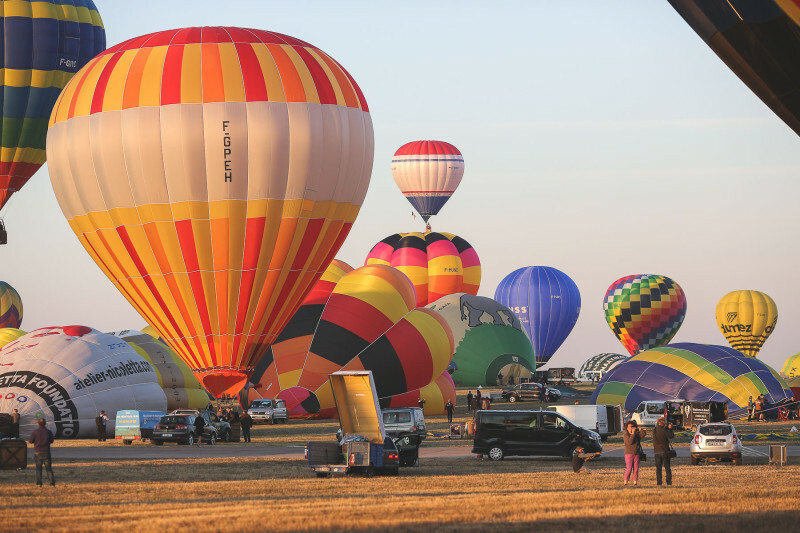 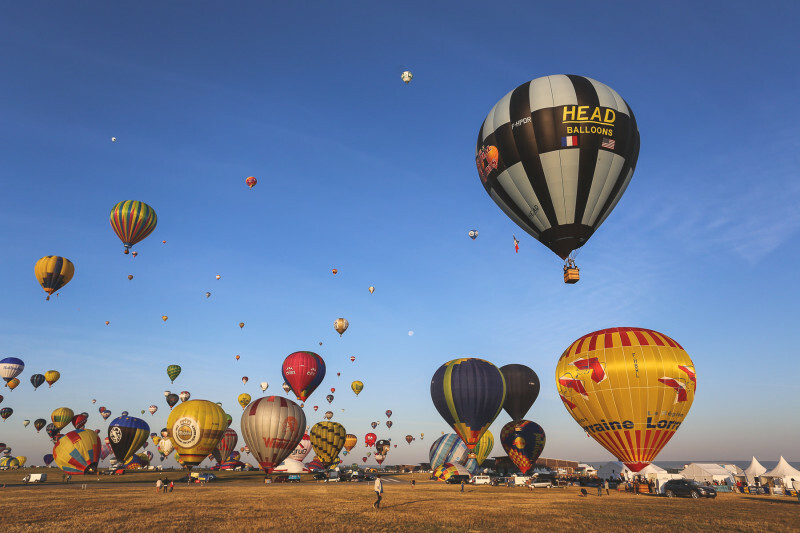 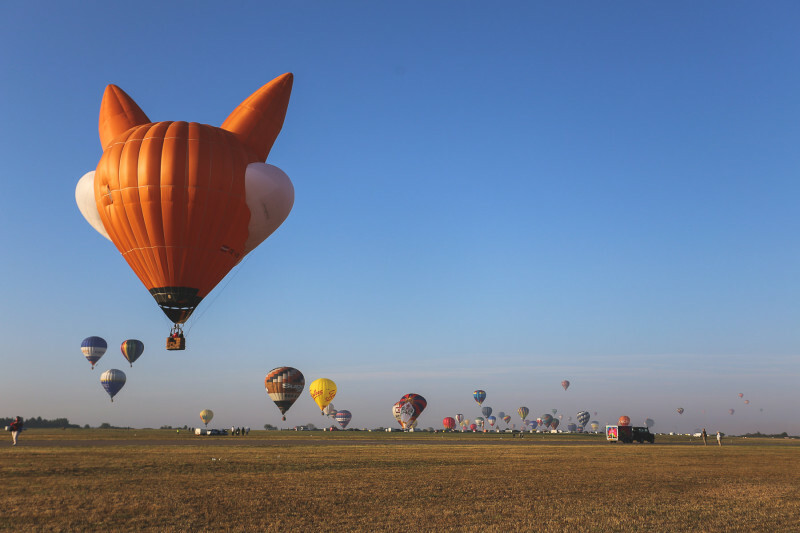 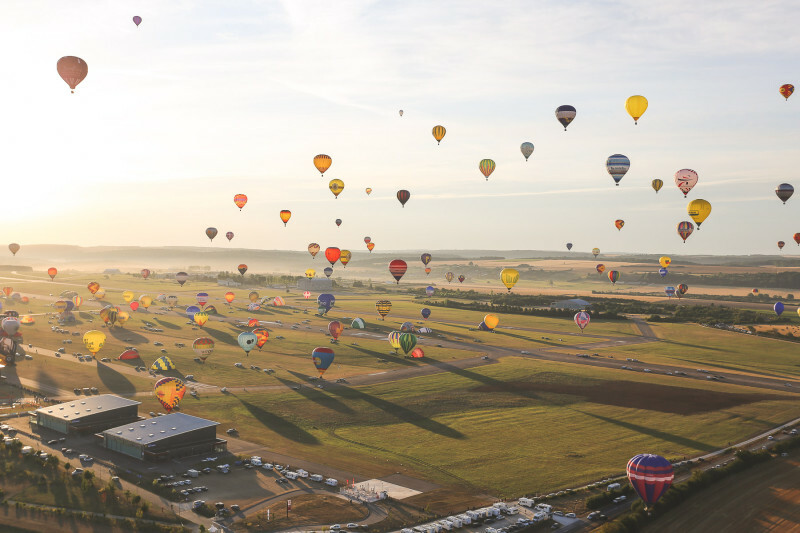 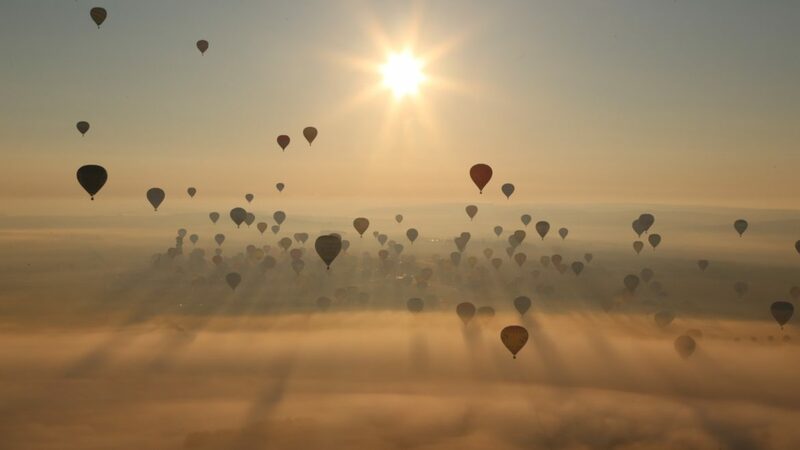 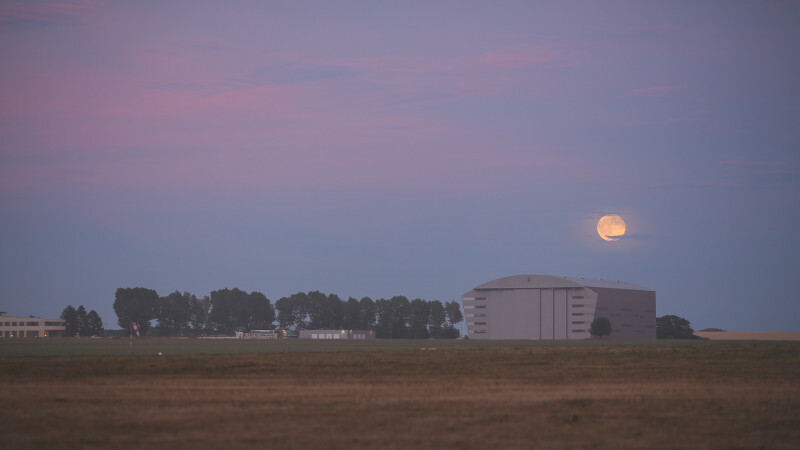 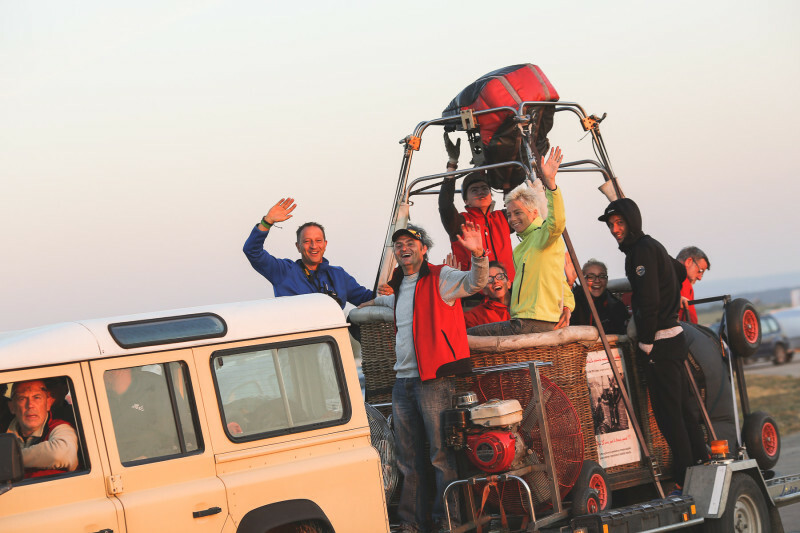 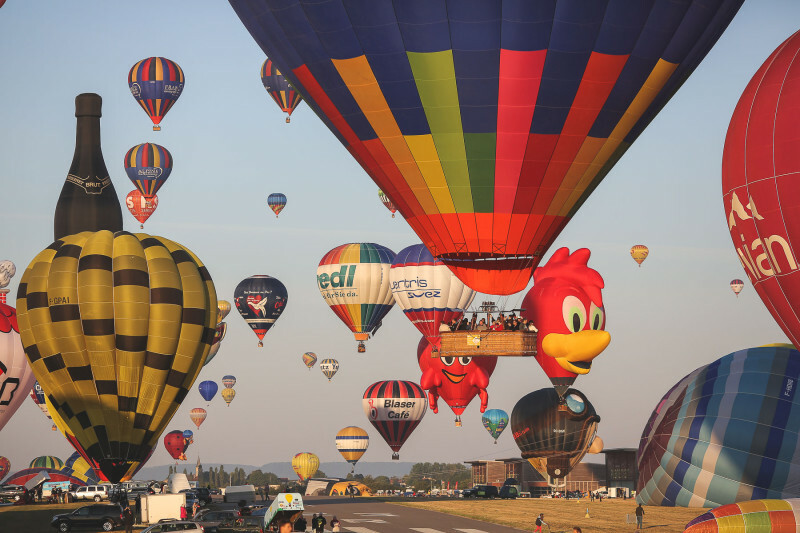 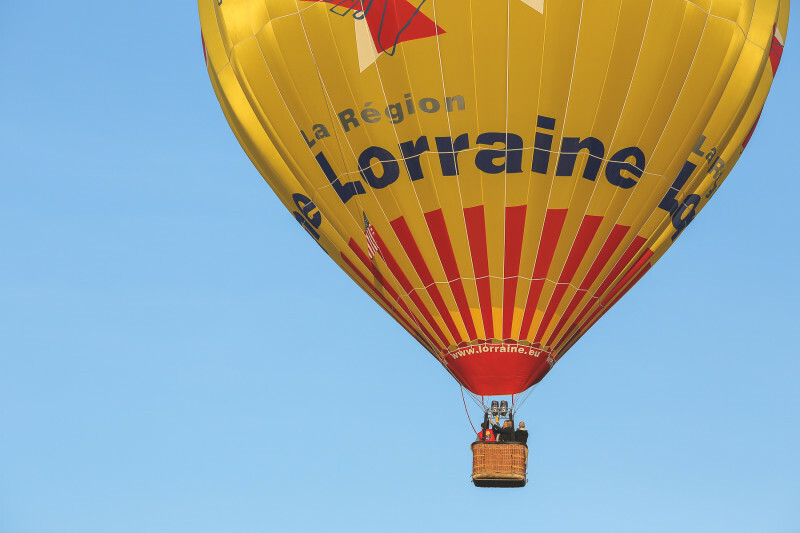 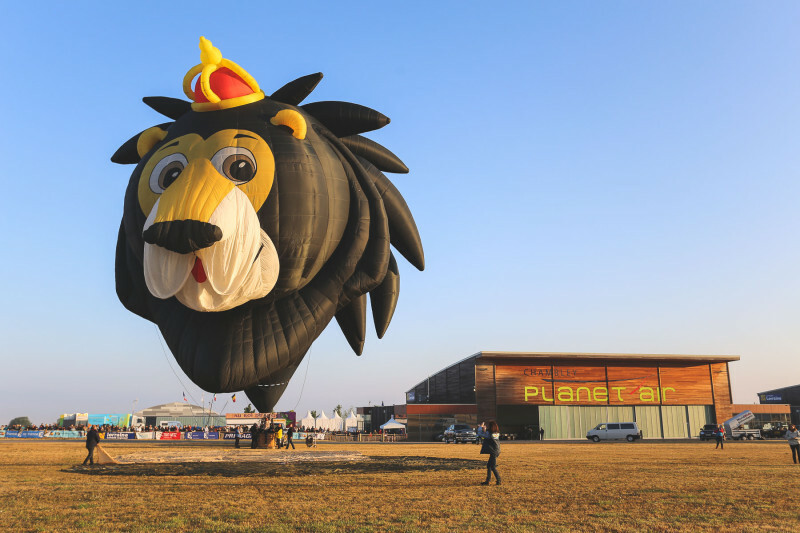 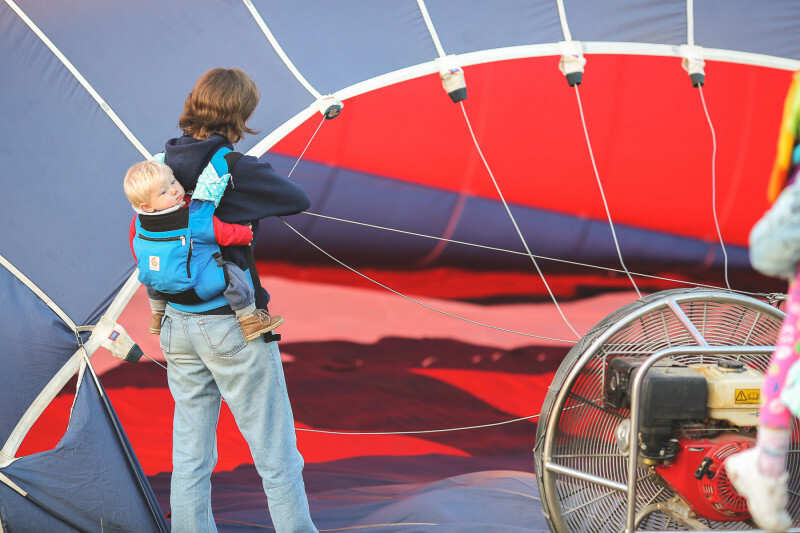 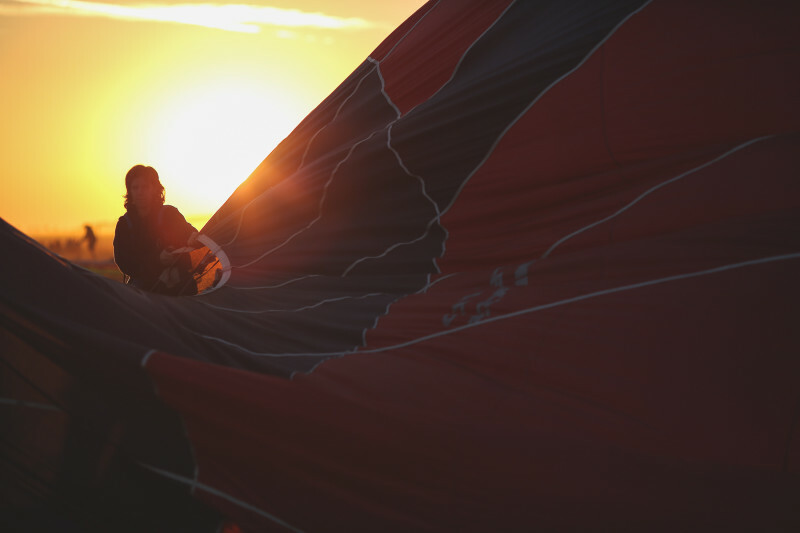 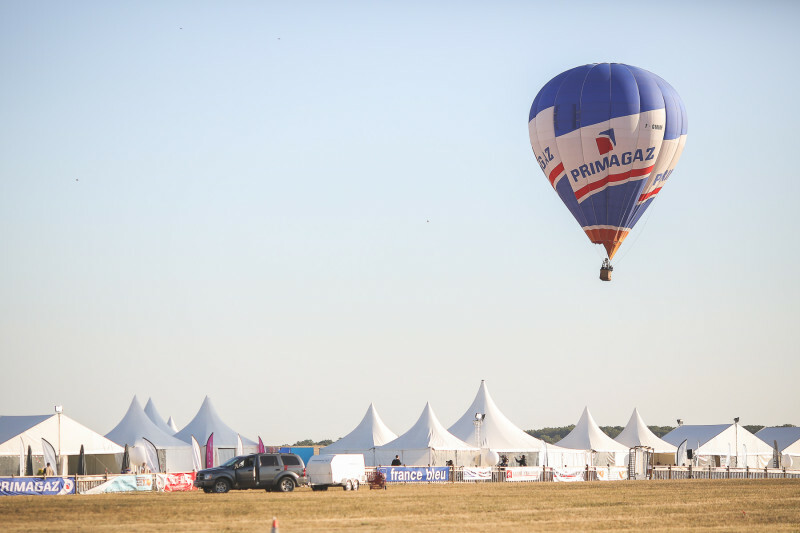 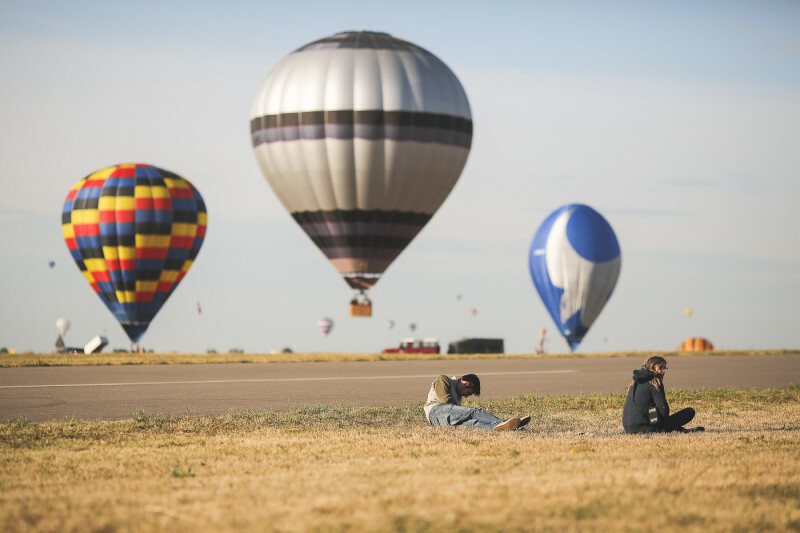 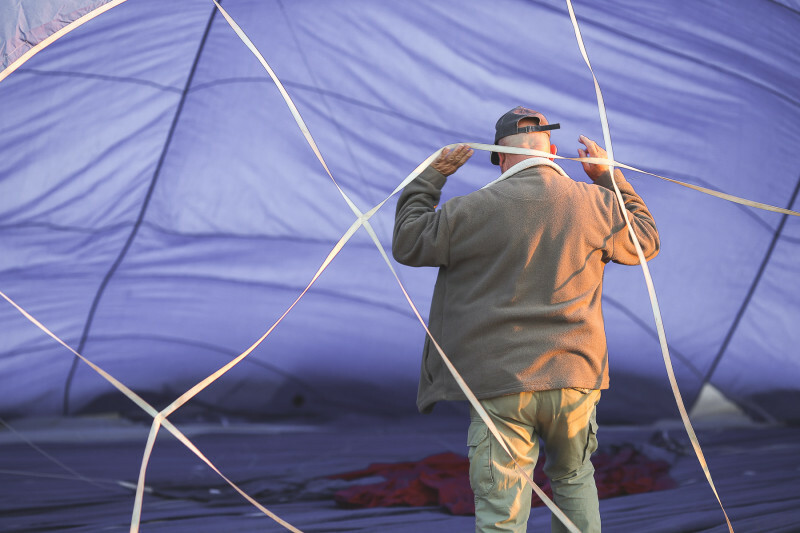 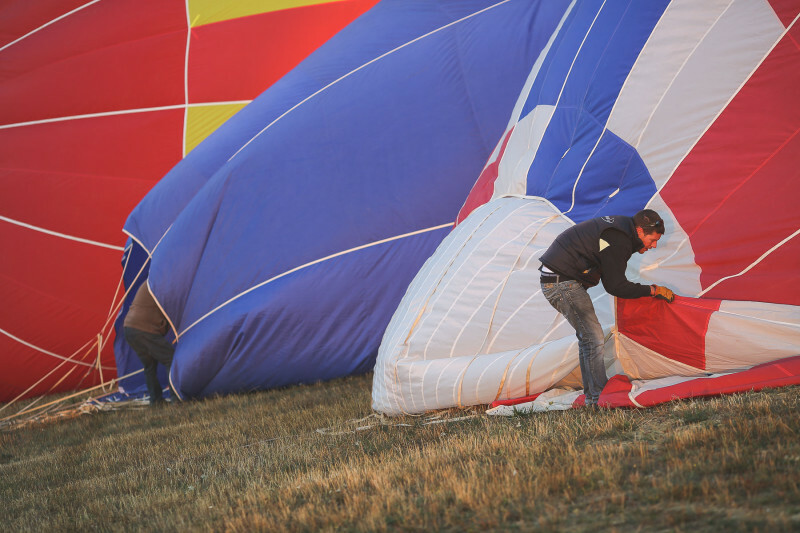 The fourteenth edition of the Lorraine Mondial Air Ballons ends. 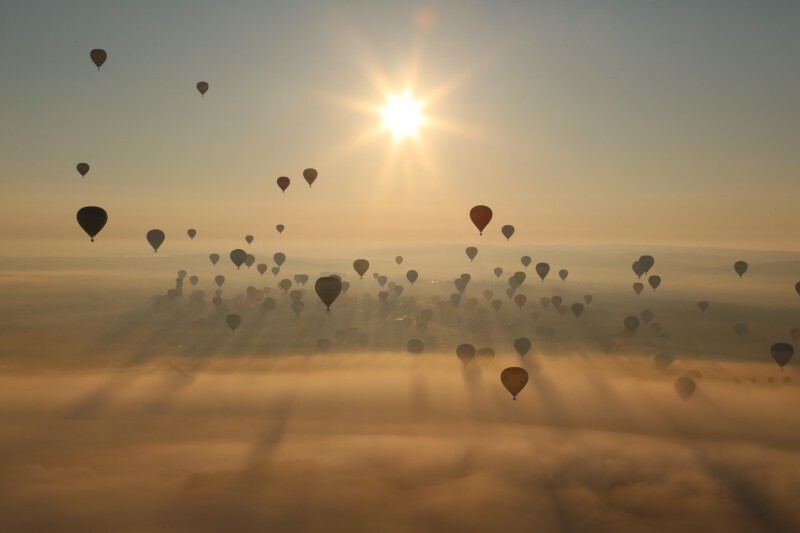 The balloons are moving away from the horizon but the memories remain, eyes sparkling with emotion. 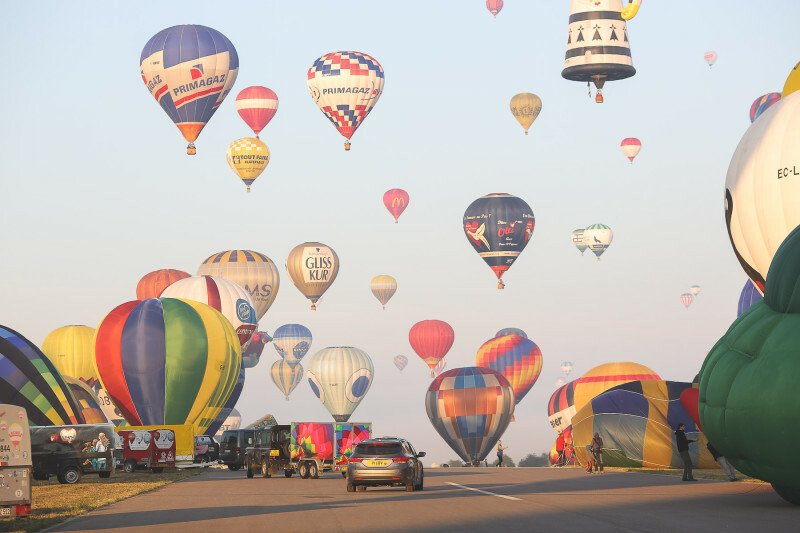 Despite unpredictable weather, we did everything to make this magical and unforgettable event! 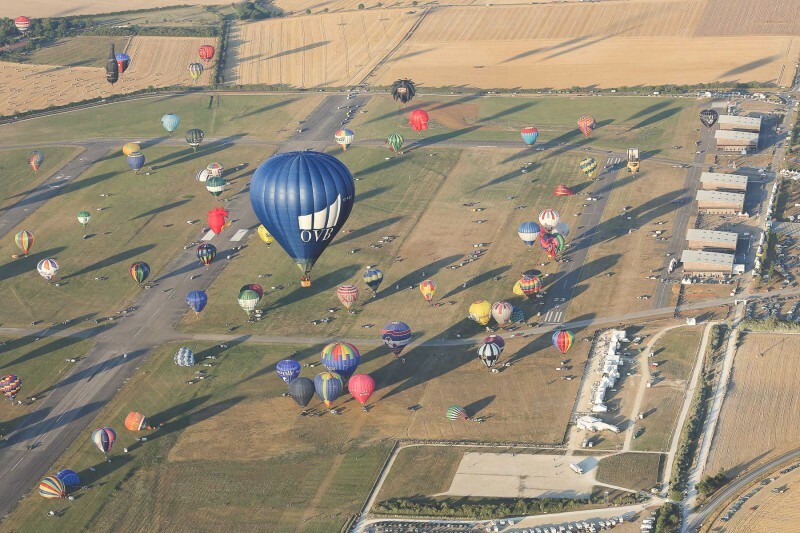 and above all, thank you all for coming so numerous! 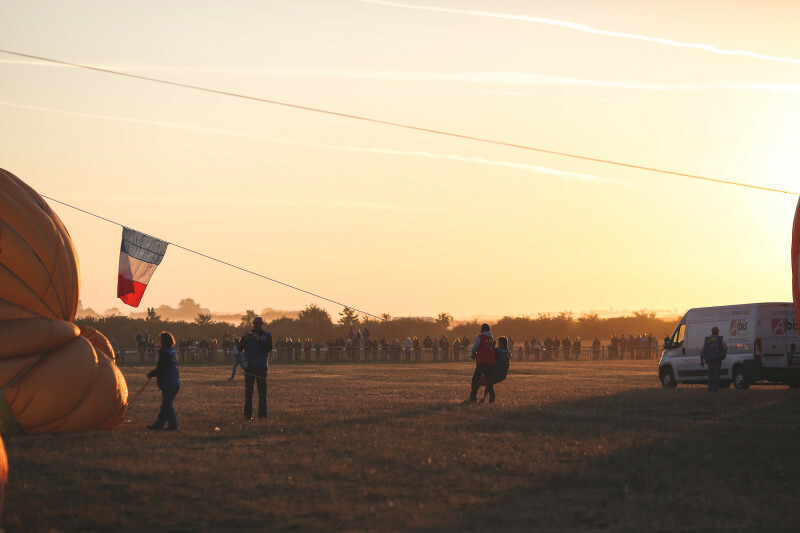 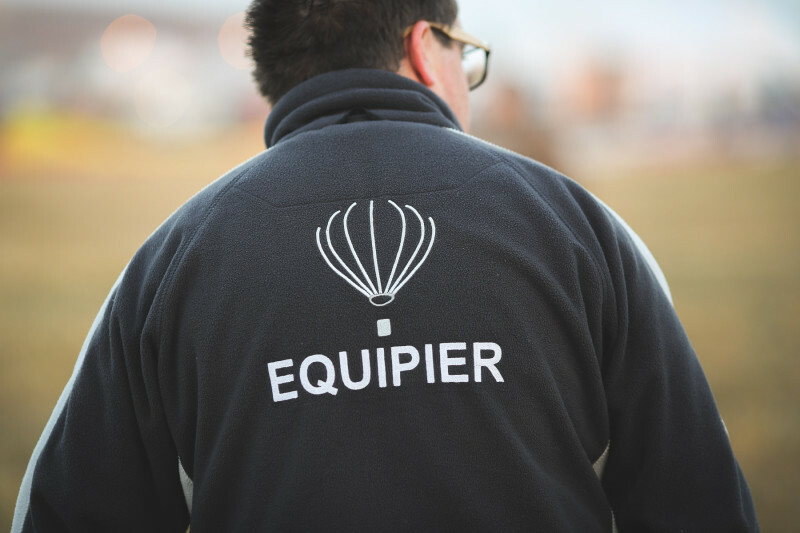 A beautiful day yesterday with two takeoffs made ​​in the best conditions, a beautiful sunrise which we immortalized in pictures from the helicopter of L’Europe Vue du Ciel. 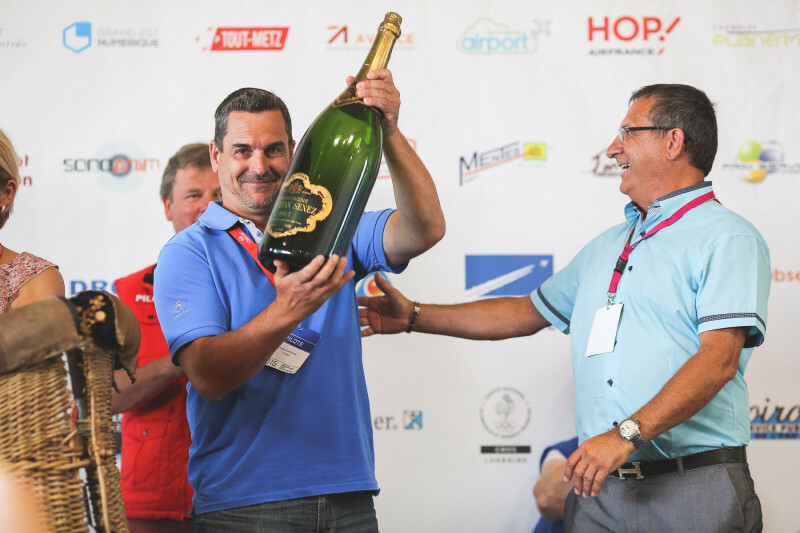 Congratulations to all three and see you in 2017 to put into play their titles !